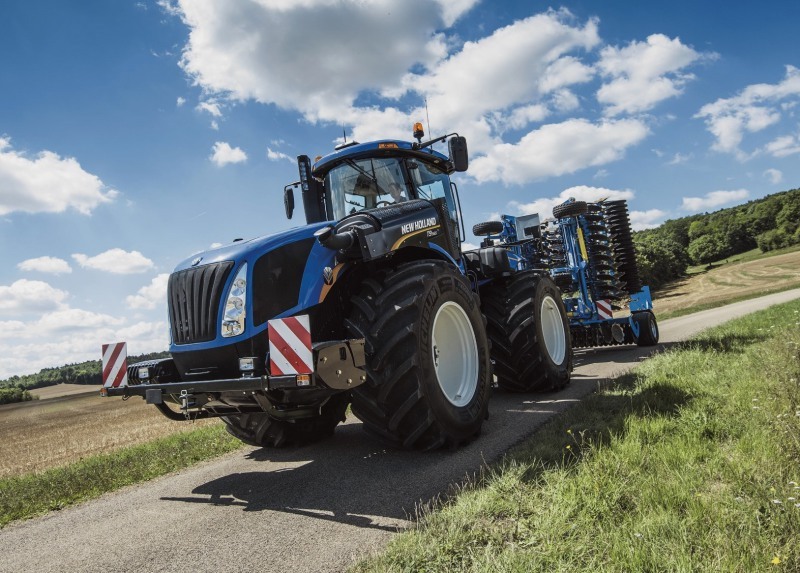 New Holland’s methane powered concept tractor was one of the winners of the 2018 Good Design awards, which recognises the most innovative and cutting-edge products from around the world. 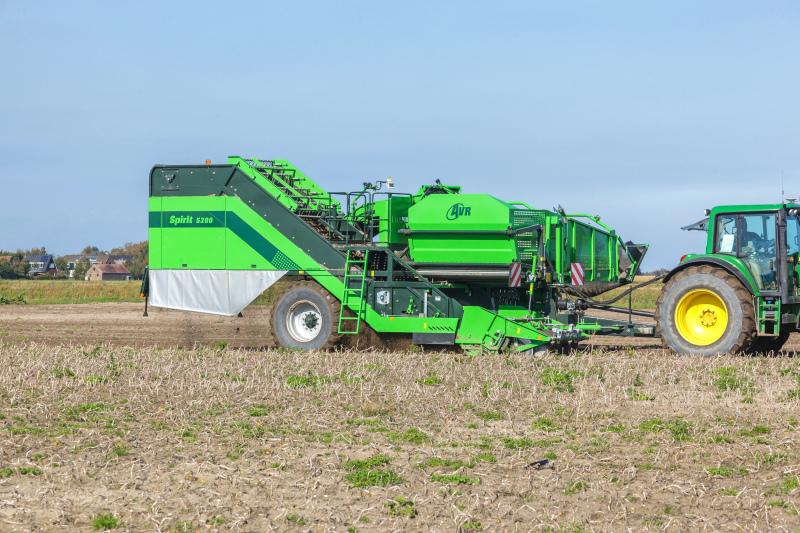 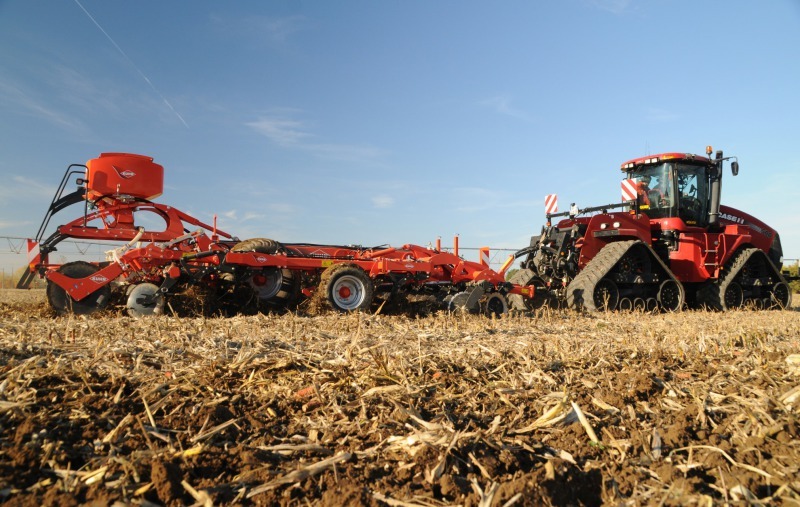 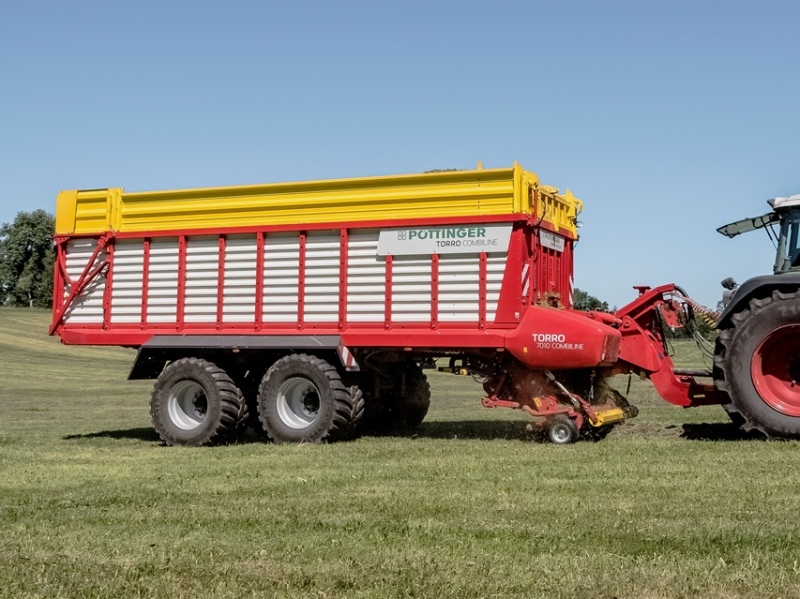 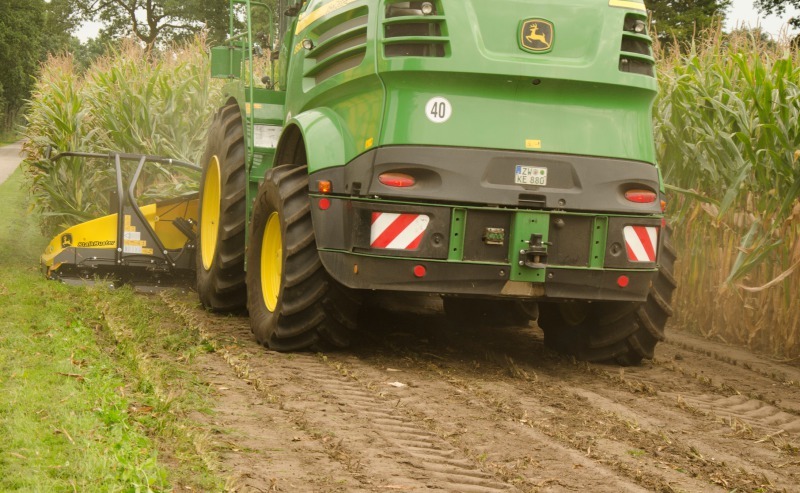 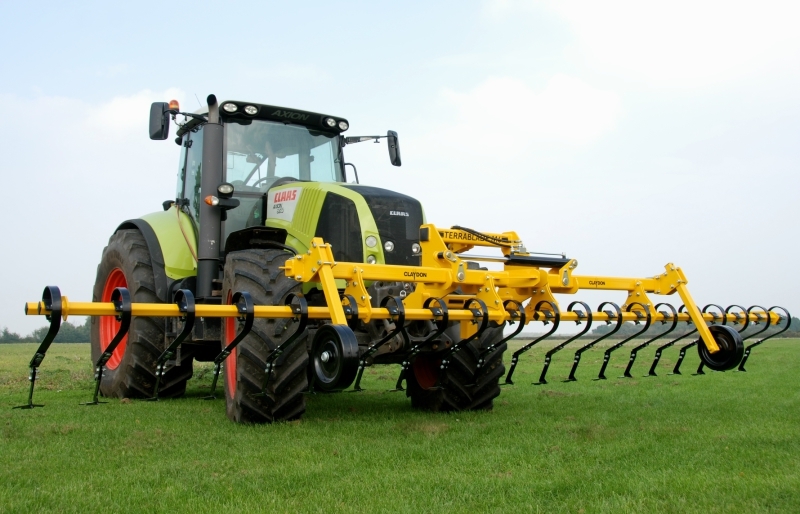 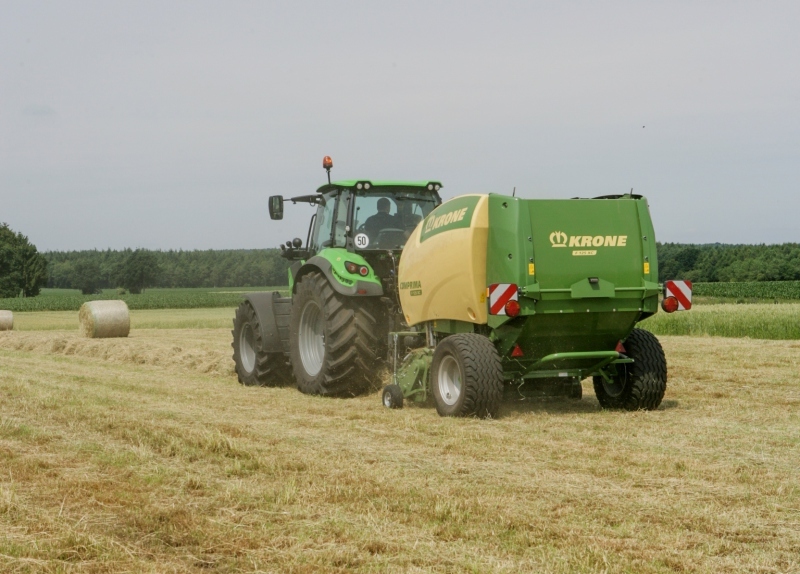 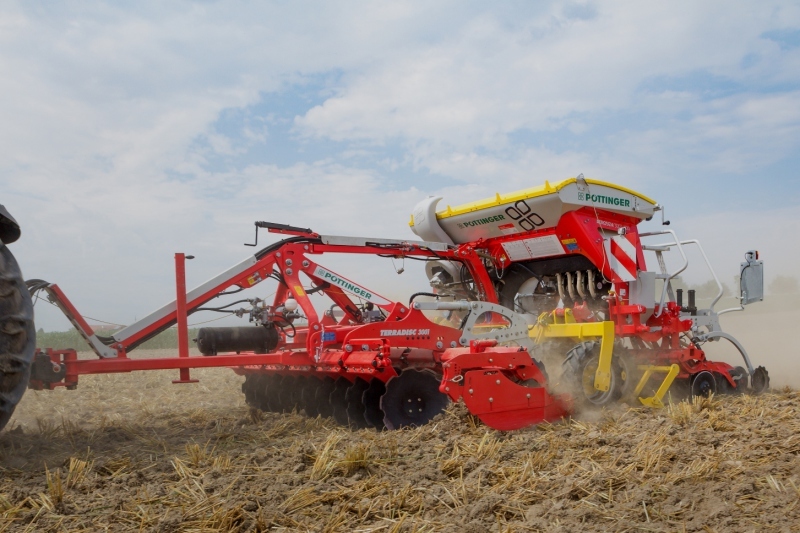 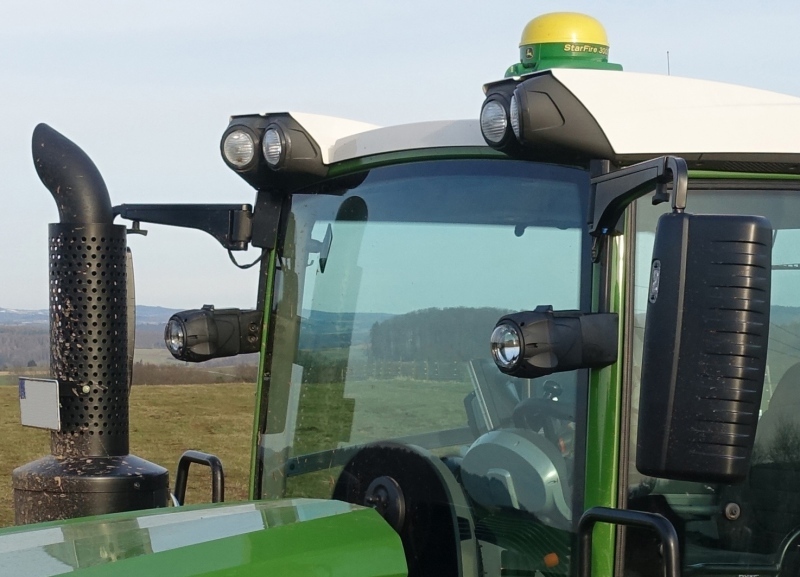 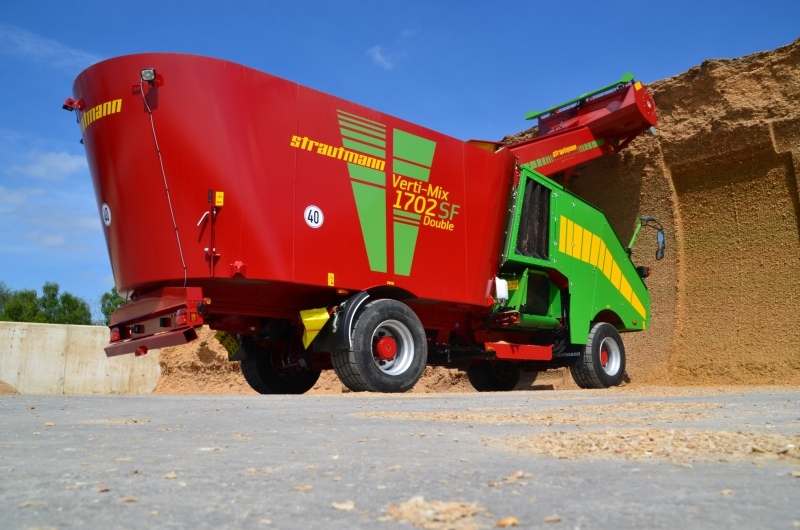 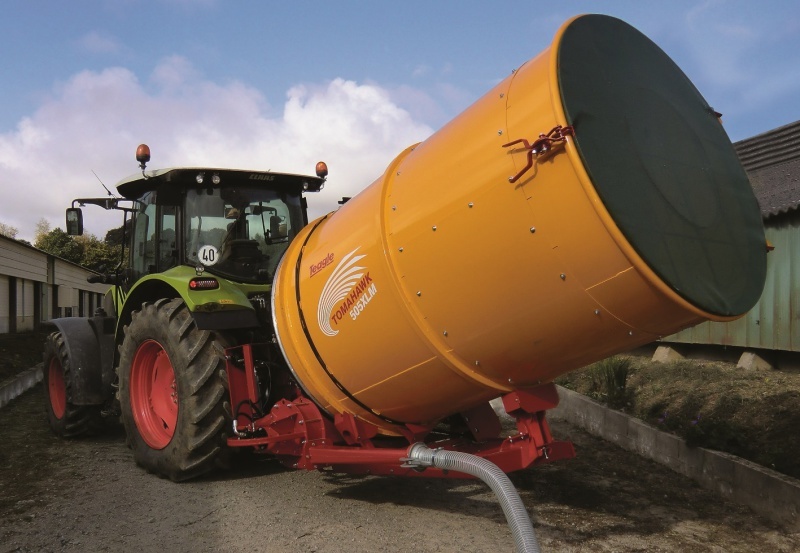 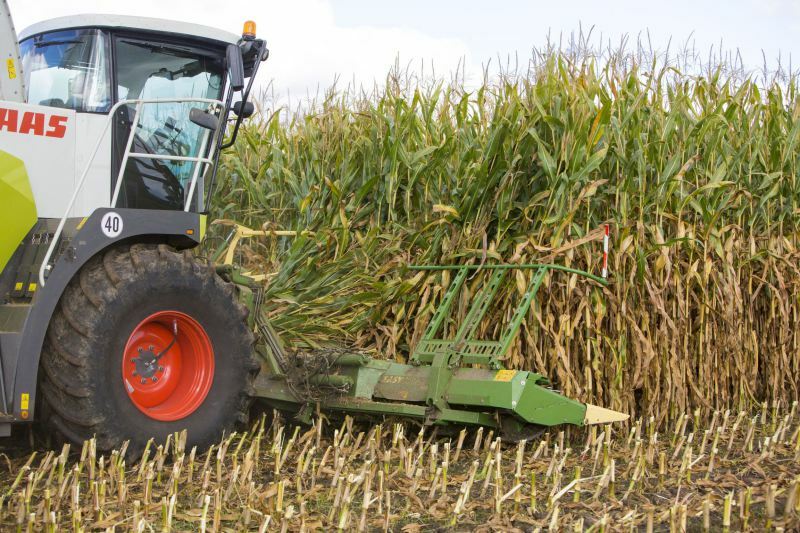 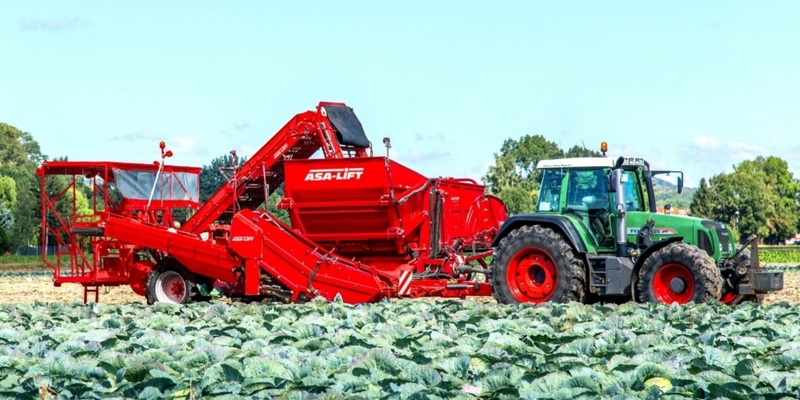 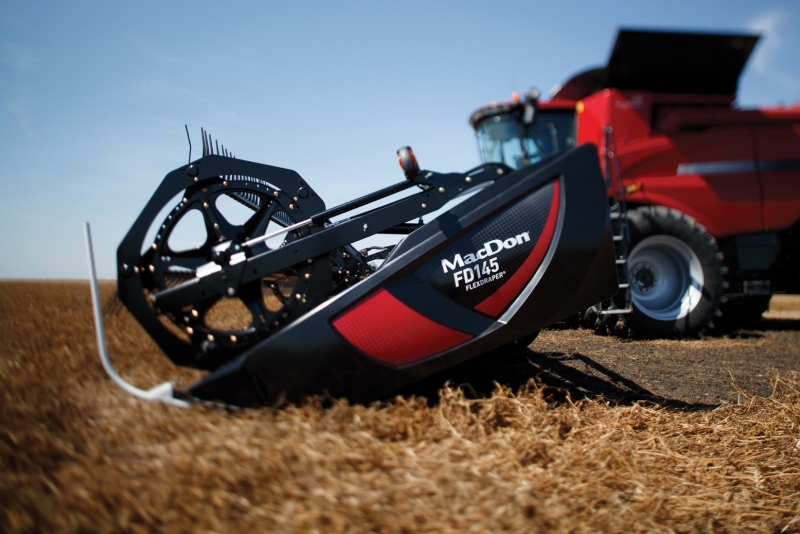 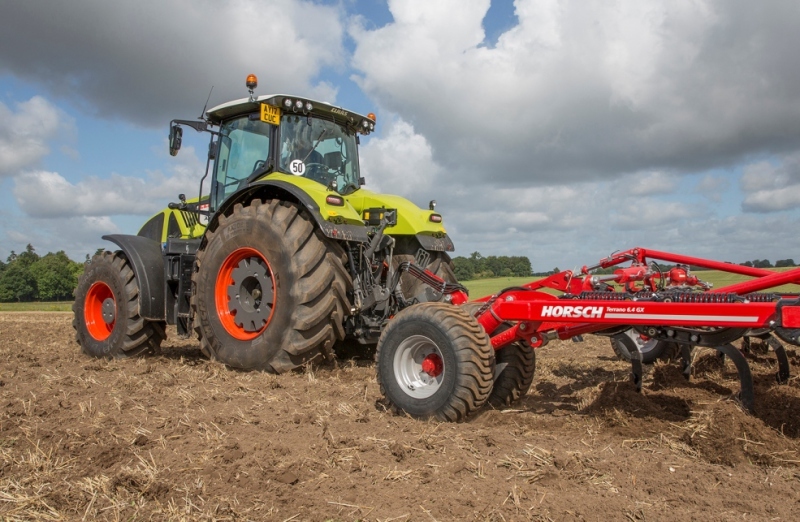 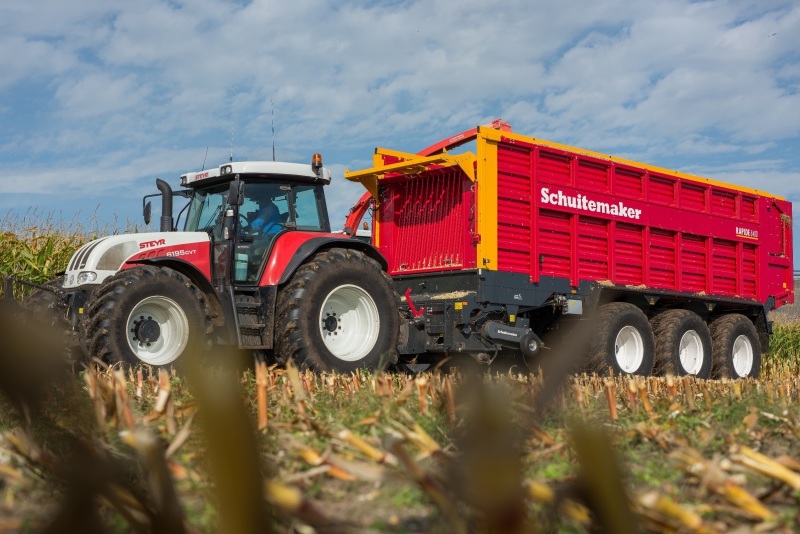 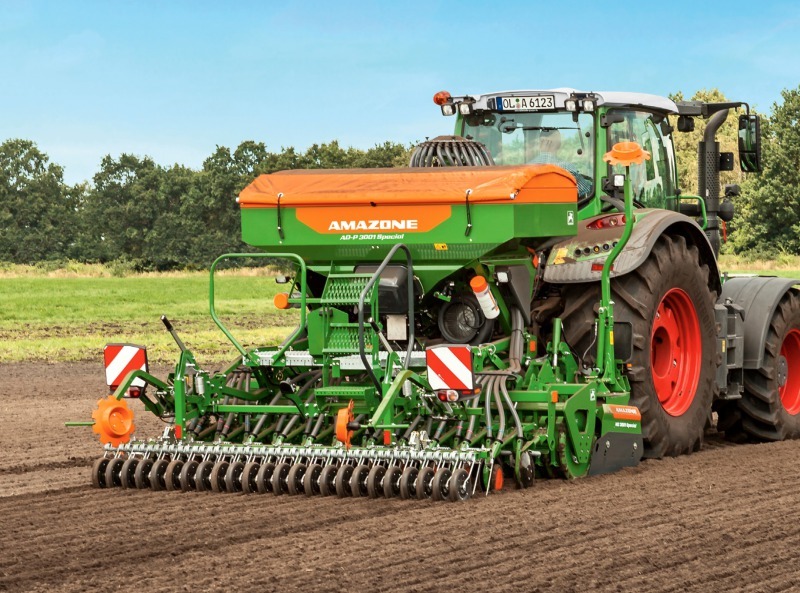 Krone previewed its most powerful SPFH so far at a farm near Berlin, Germany. 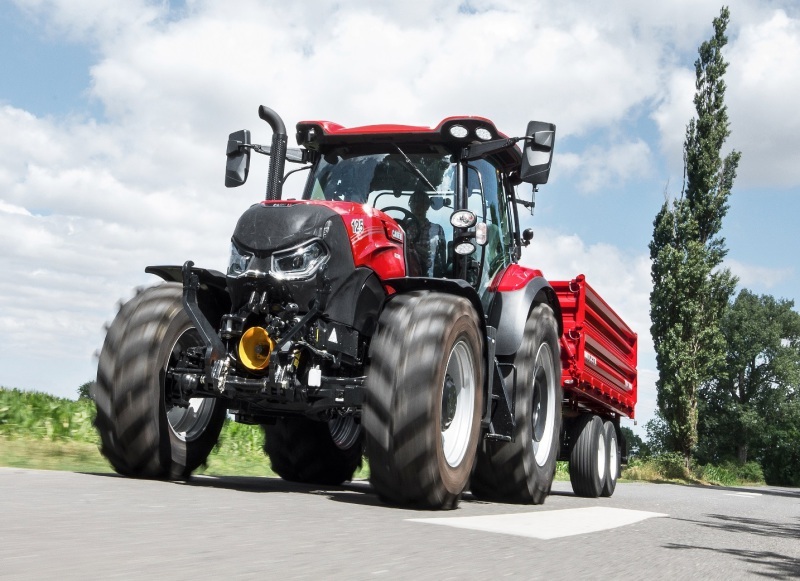 Called the Big X 1180, it produces a maximum output of 1,156hp. 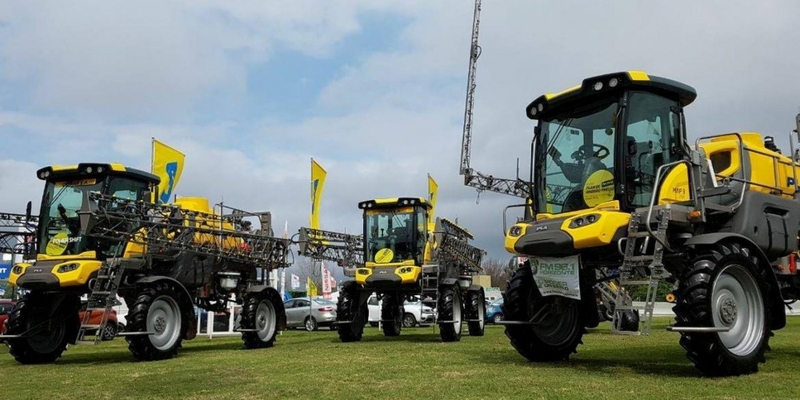 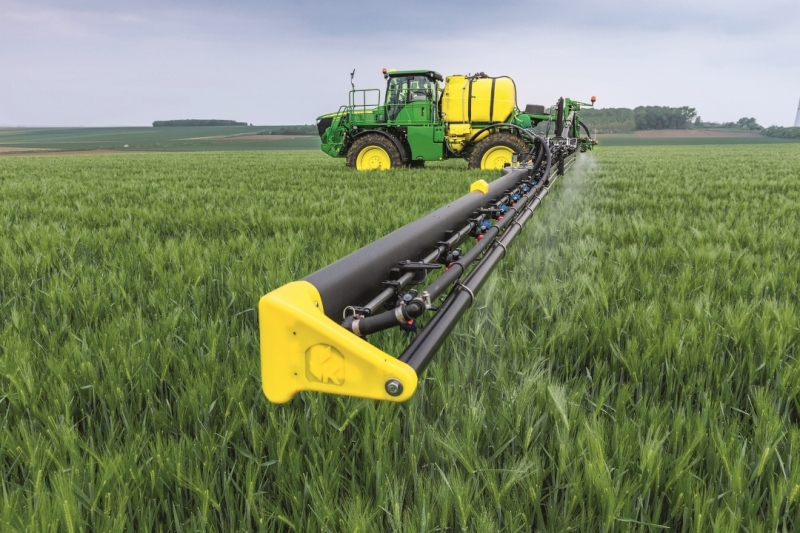 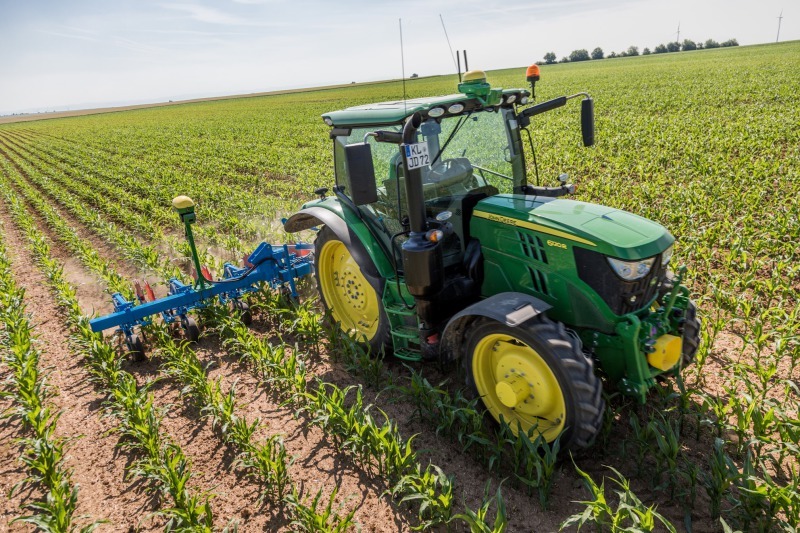 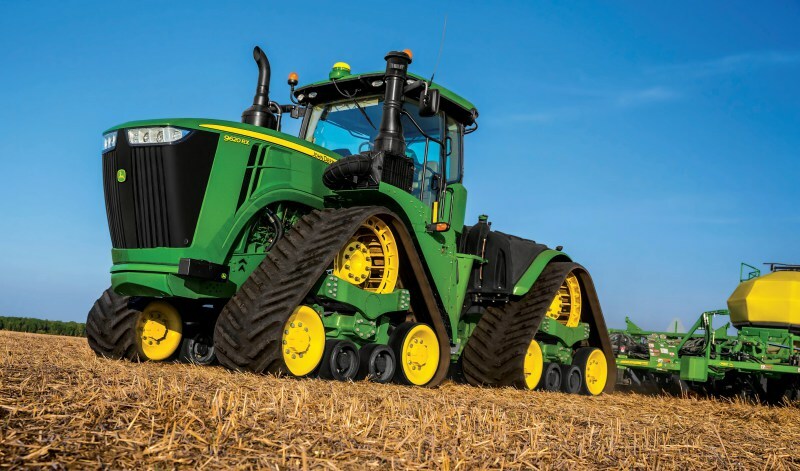 Deere & Company has signed a definitive agreement to acquire PLA, a privately-held Argentine manufacturer of sprayers, drills and planters. 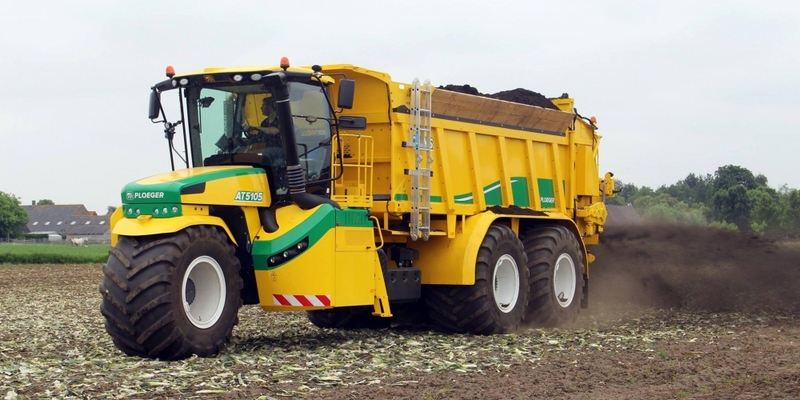 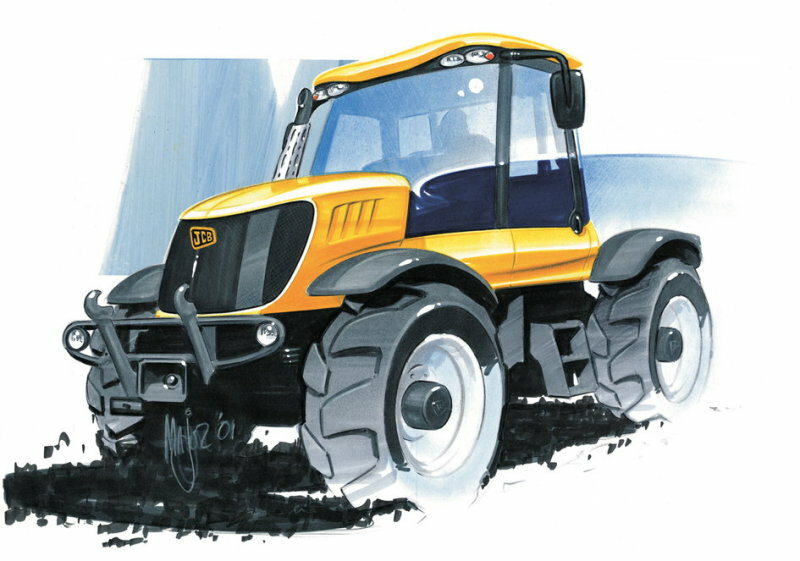 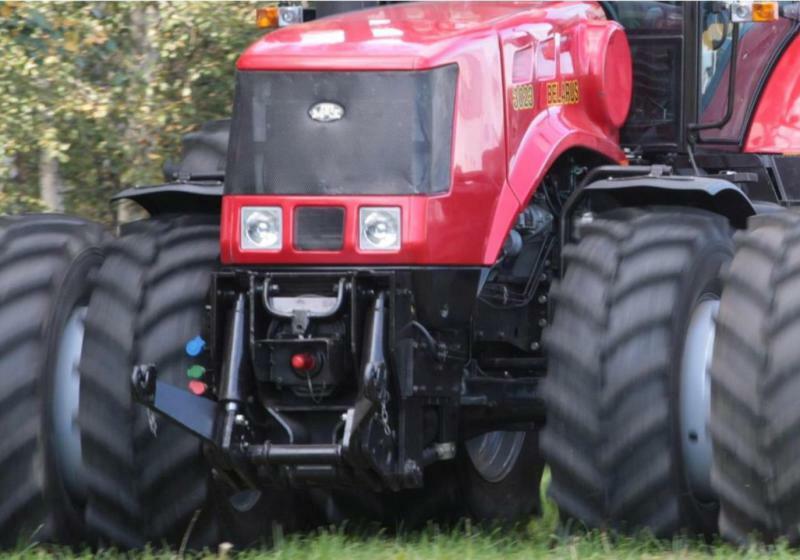 Belarusian manufacturer Amkodor appears to be close to launching its first tractor, a nearly 16t heavy articulated version called the 5300. 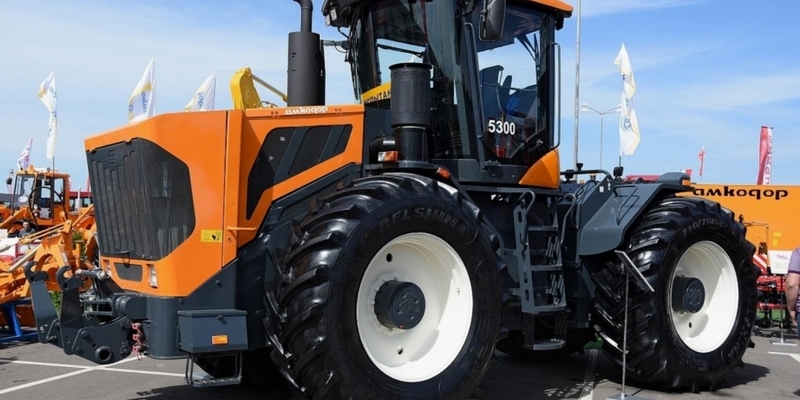 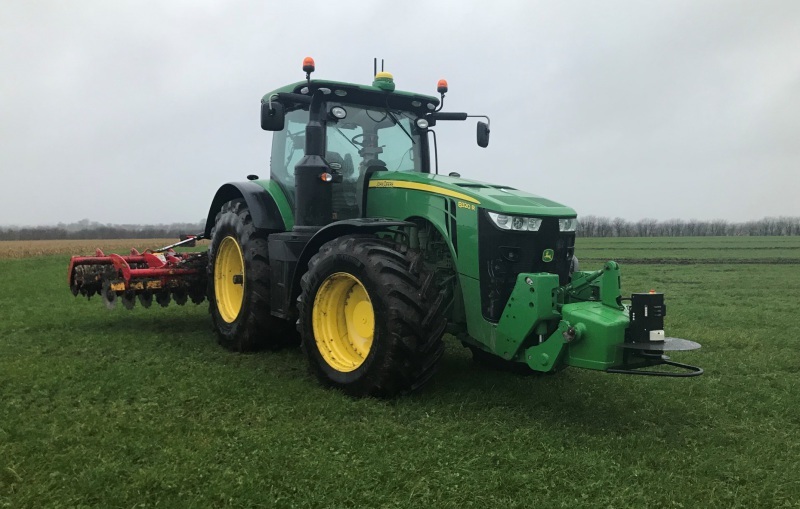 Previewed at the Belagro show last year, the 330hp tractor has been spotted several times since in Belarus. 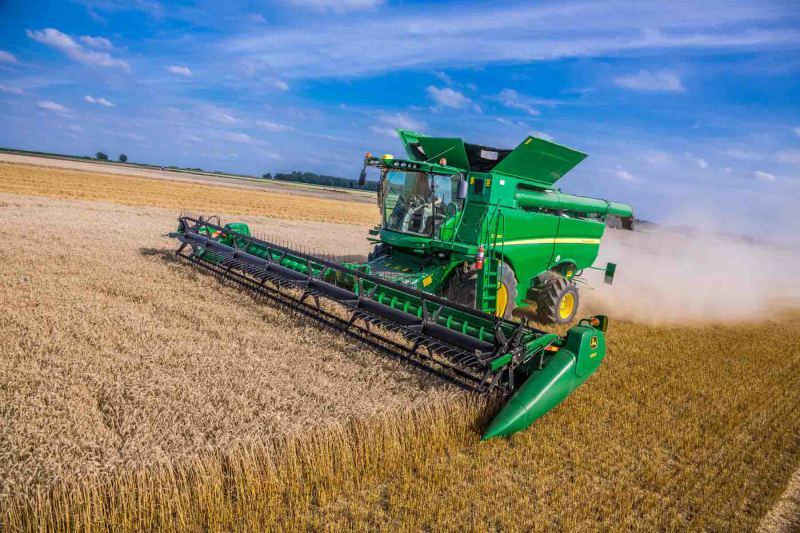 Harvest for Kids 2018 is hoping to set a new Guinness world record for the most combines in continuous use. 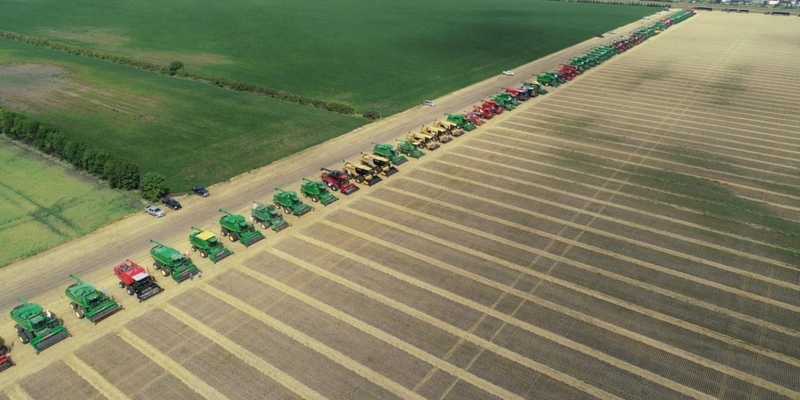 Planned for August 4, 2018, in Winkler, Manitoba, the world record attempt is expected to be attended by 300 combines and 25,000 spectators. 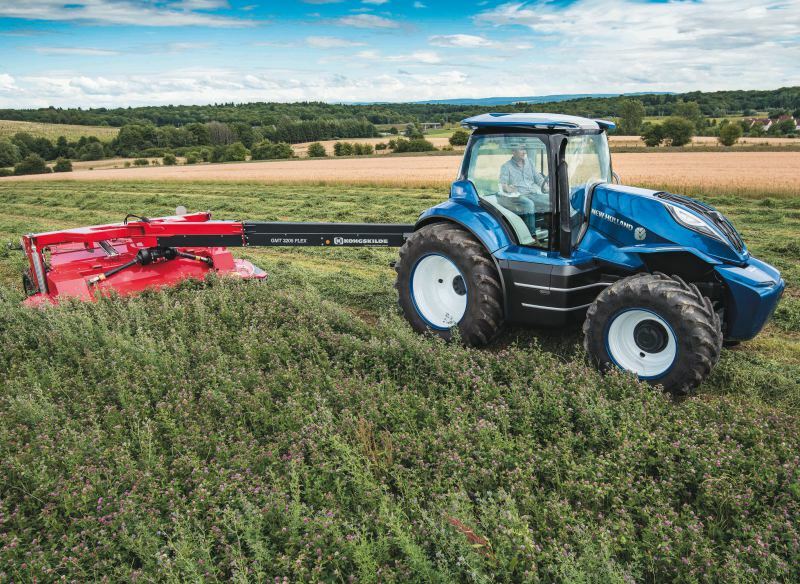 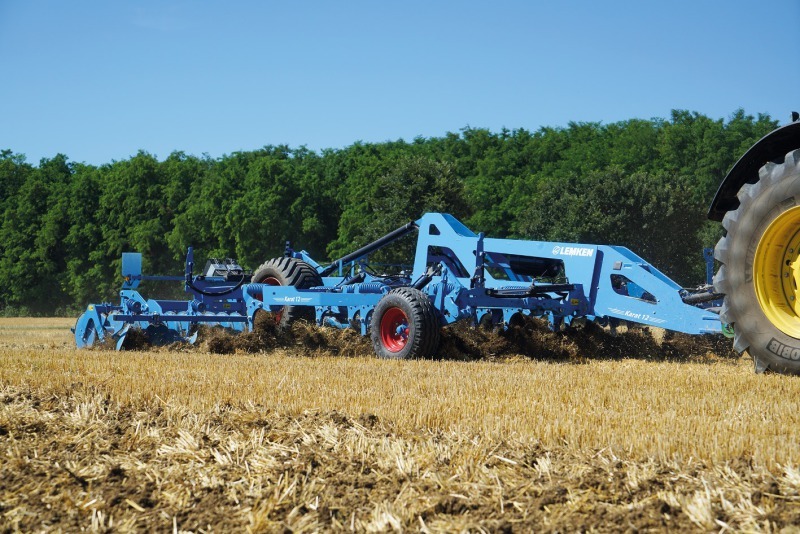 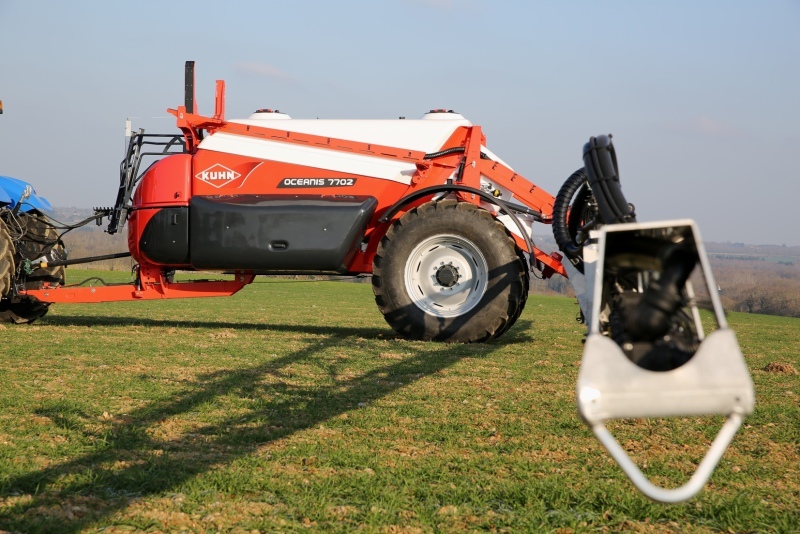 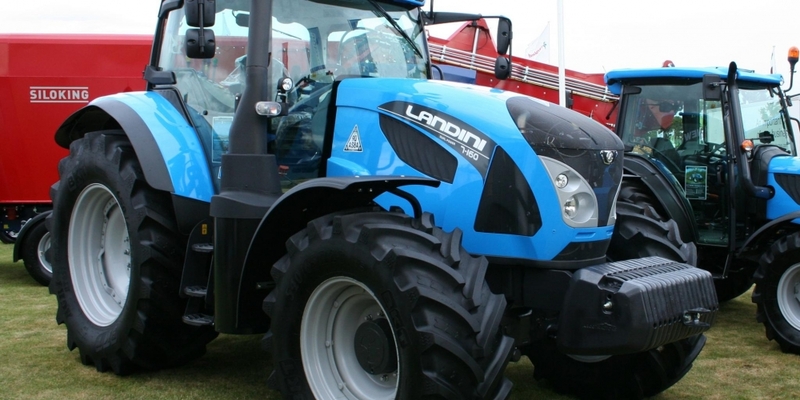 Comprising five models from the 7-160 (151hp) to the flagship 7-230 (206hp for draft work), all models in the new Landini 7 Robo-Six Series have a Dual Power ‘boost’ for pto and transport operations, which takes peak power to 165hp and 225hp, respectively. 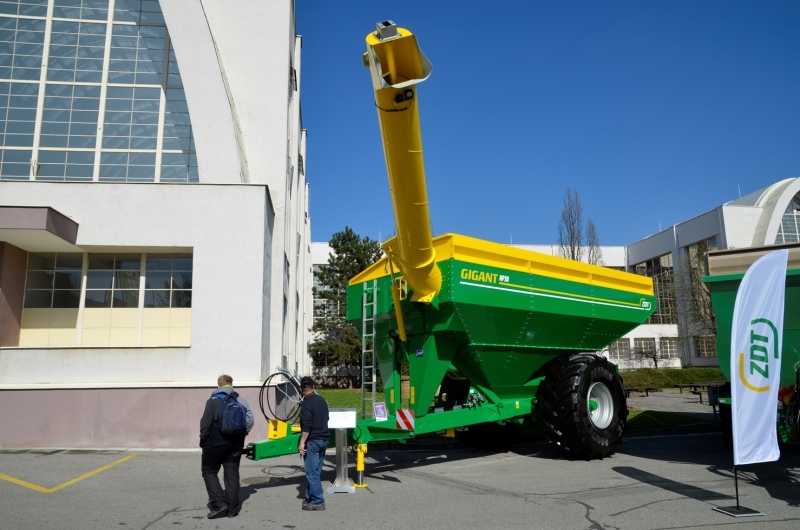 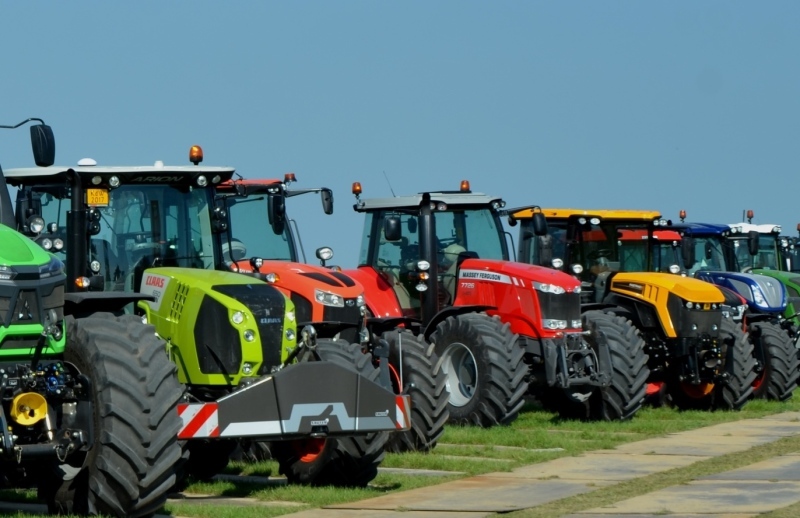 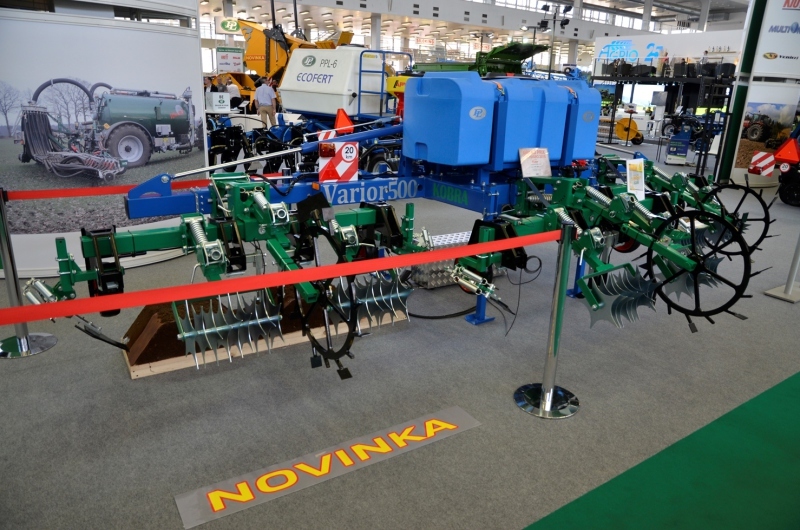 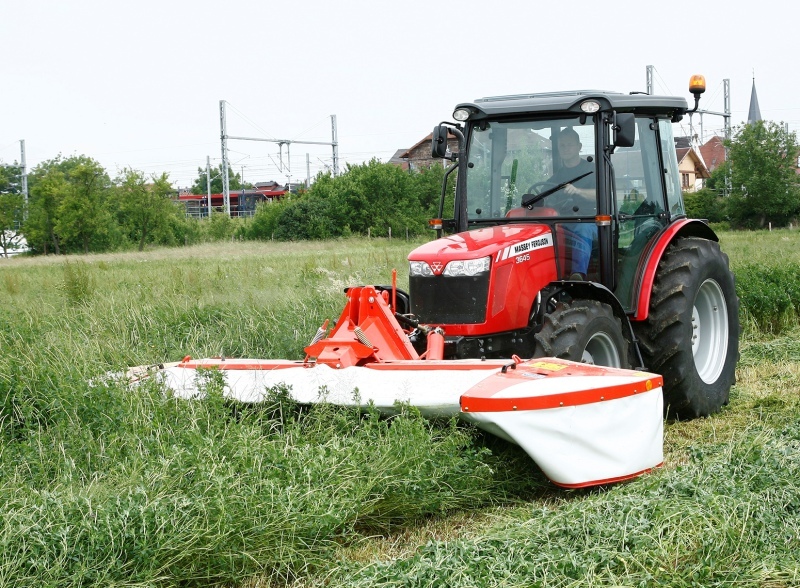 The Czech cultivator manufacturers were out in force at last week's TechAgro farm machinery show. 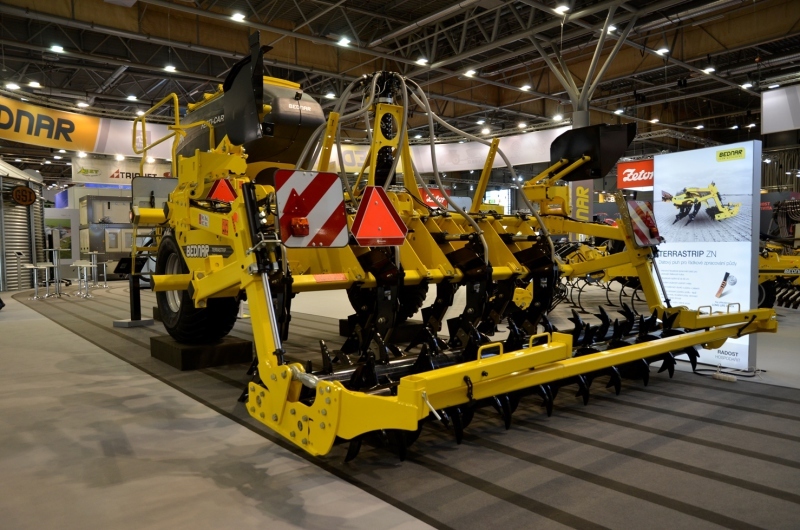 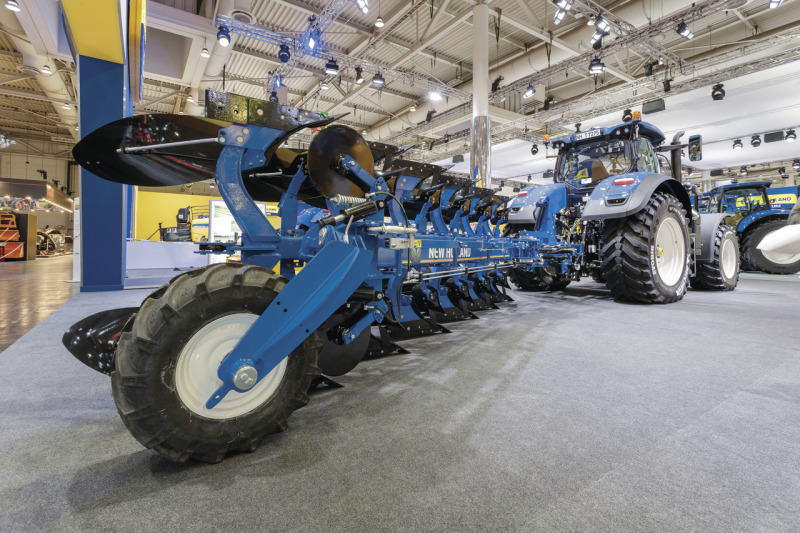 The semi-mounted Fantom Pro, a highlight on Farmet's stand, combines a hydraulically-operated front levelling board with four rows of tines. 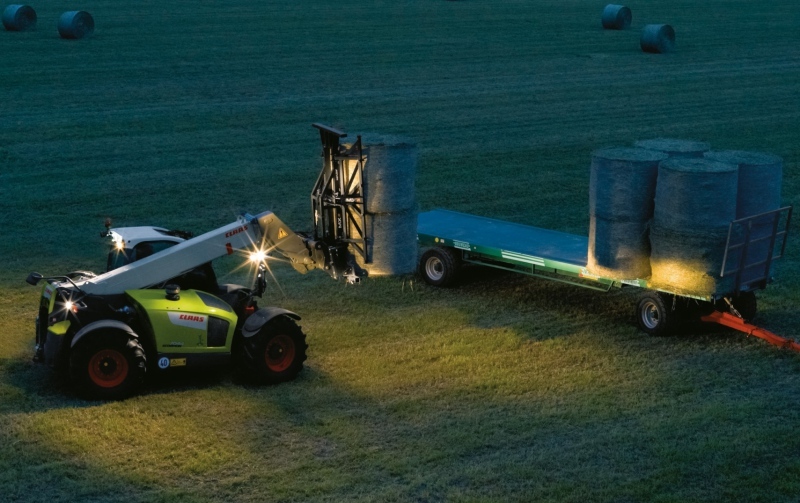 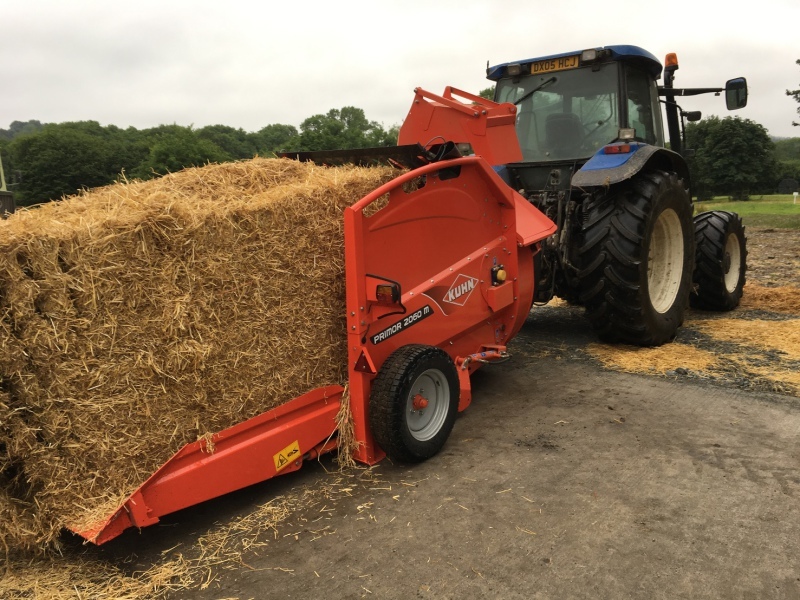 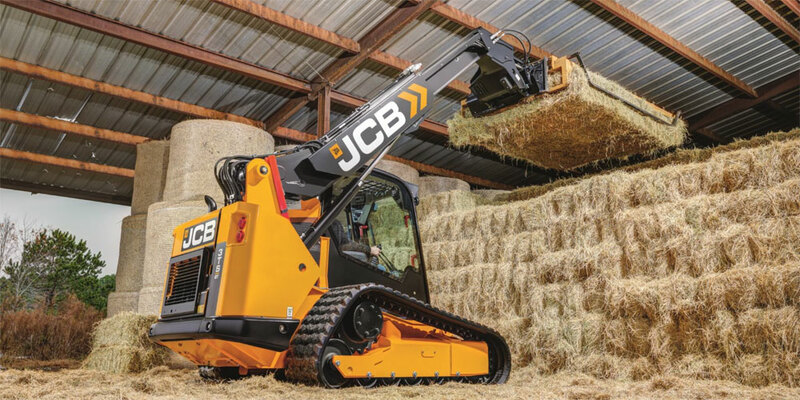 Kuhn Farm Machinery is holding a series of bale wrapping workshops, demonstrations and best practice clinics to help farmers improve the quality of, and get the most from, their baled forage. 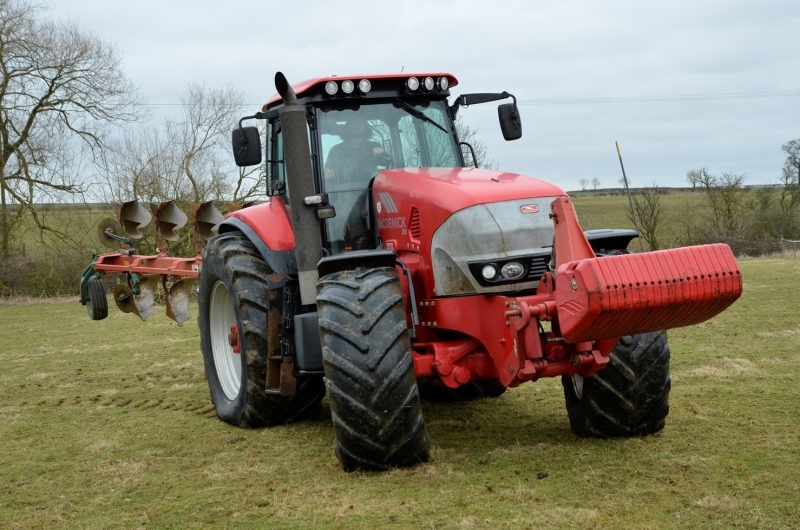 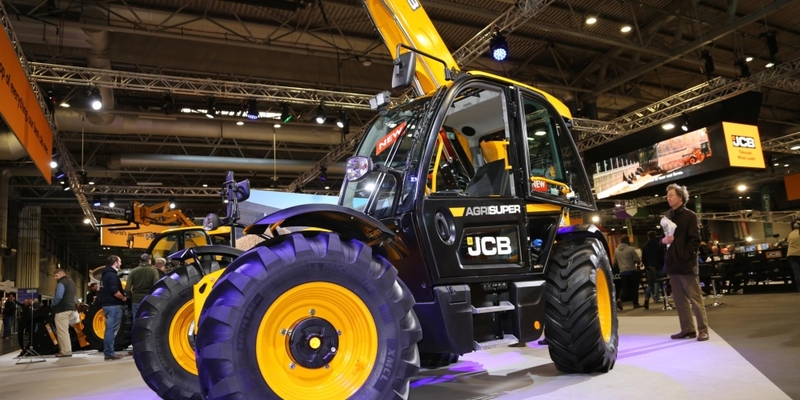 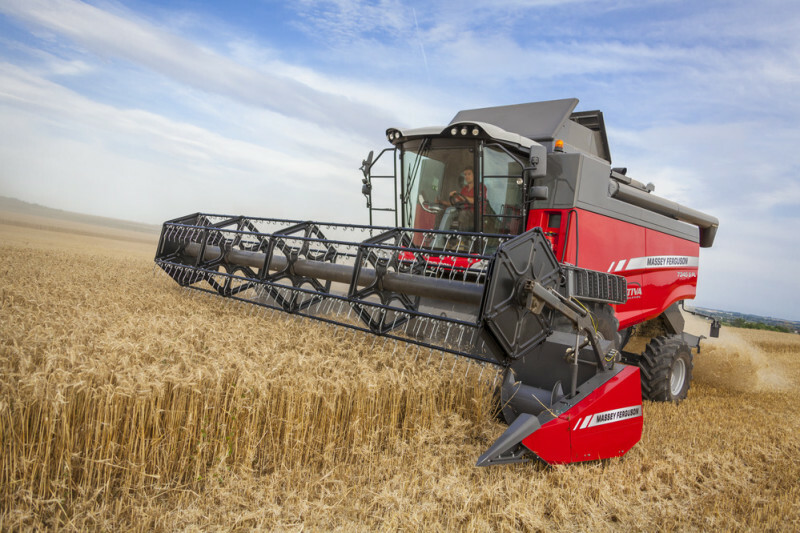 1,650 tractors were registered in the UK last month, down 6.8% when compared with March 2017, and registrations for the first quarter of this year of 2,932 units were down 3.0% when compared with January-March 2017. 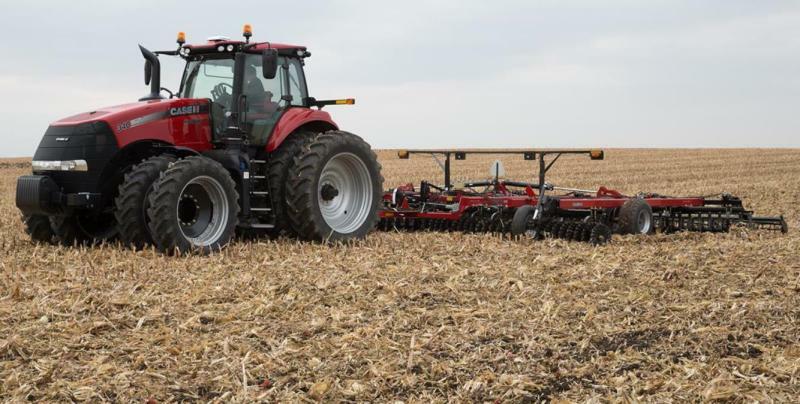 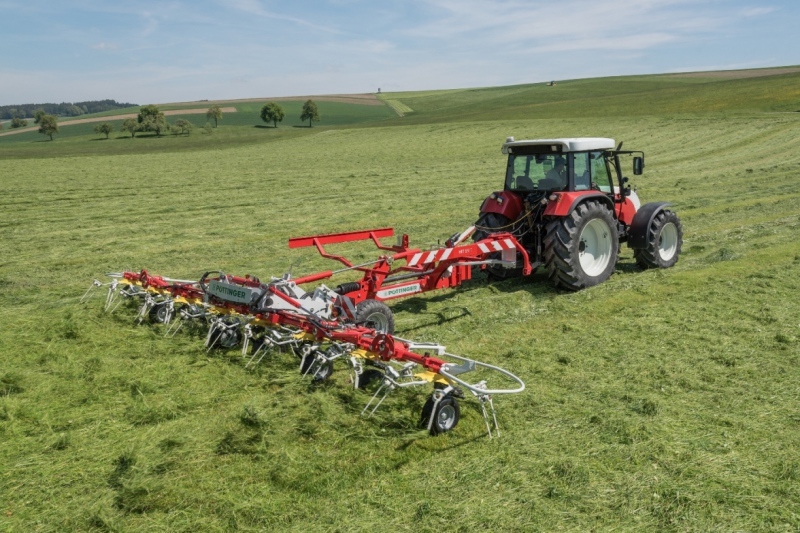 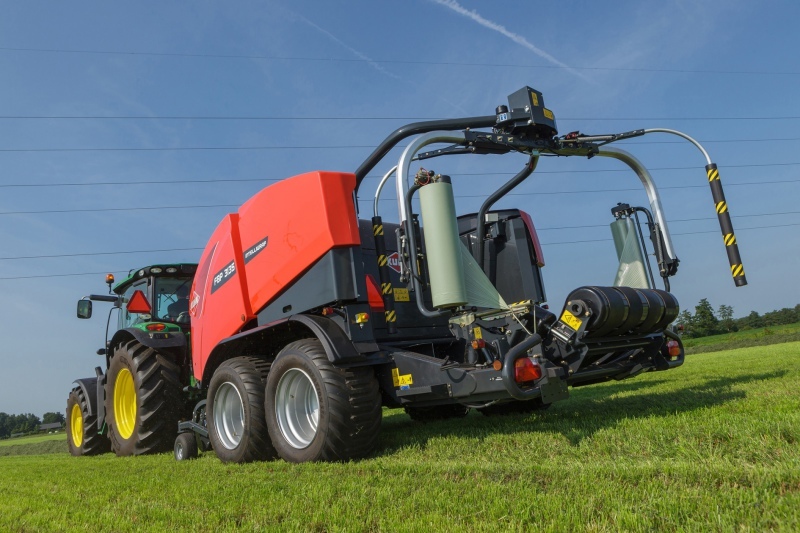 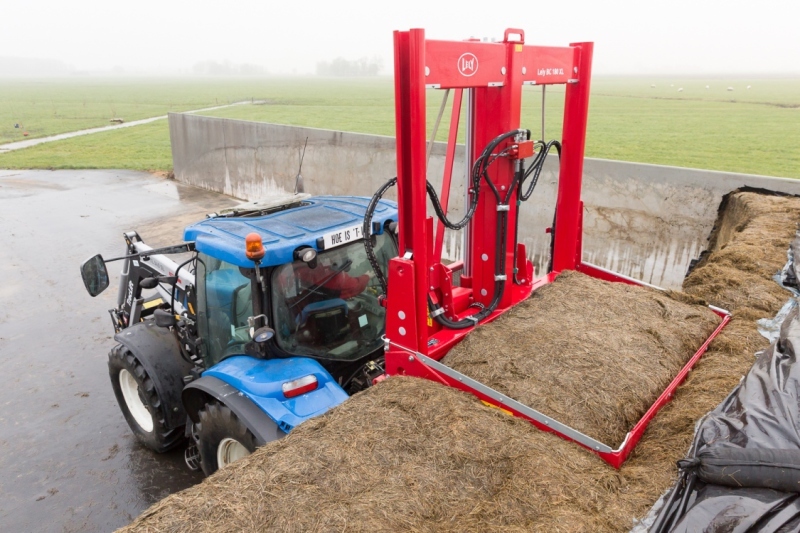 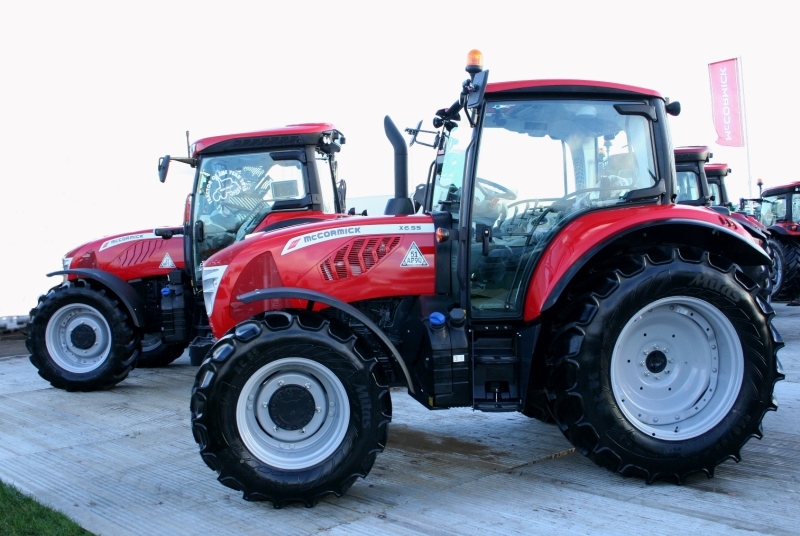 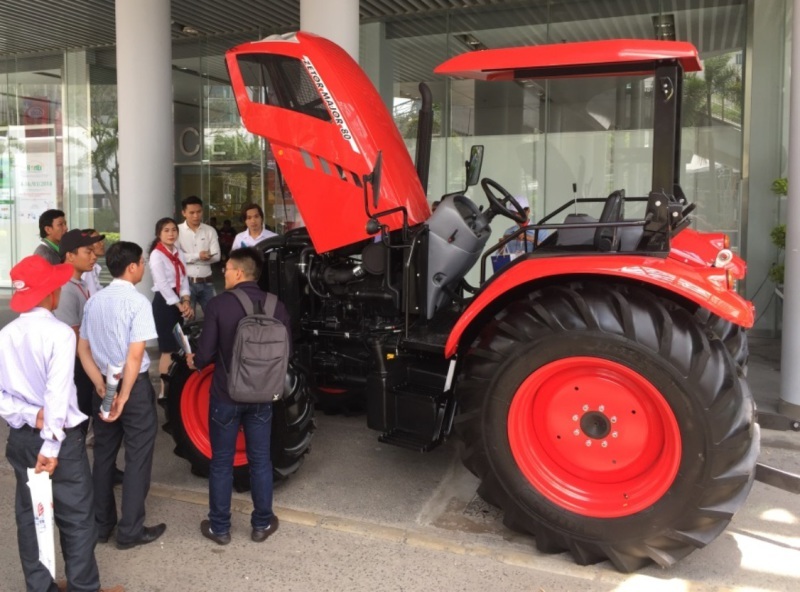 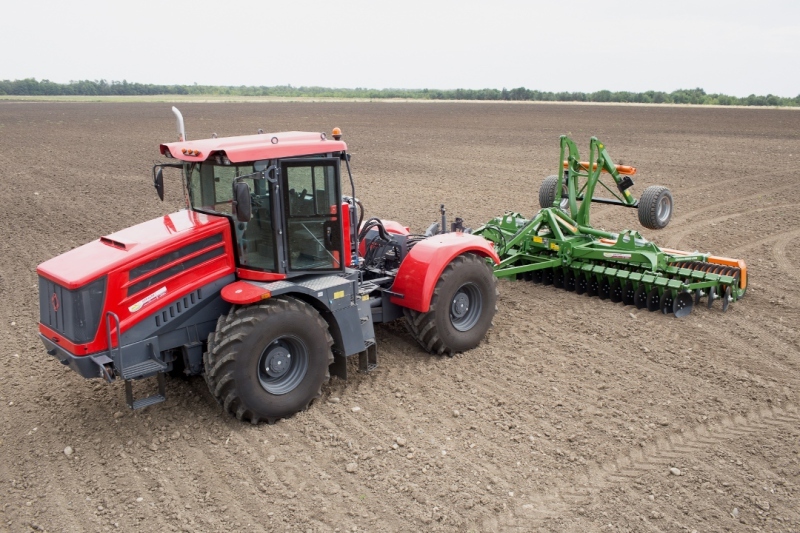 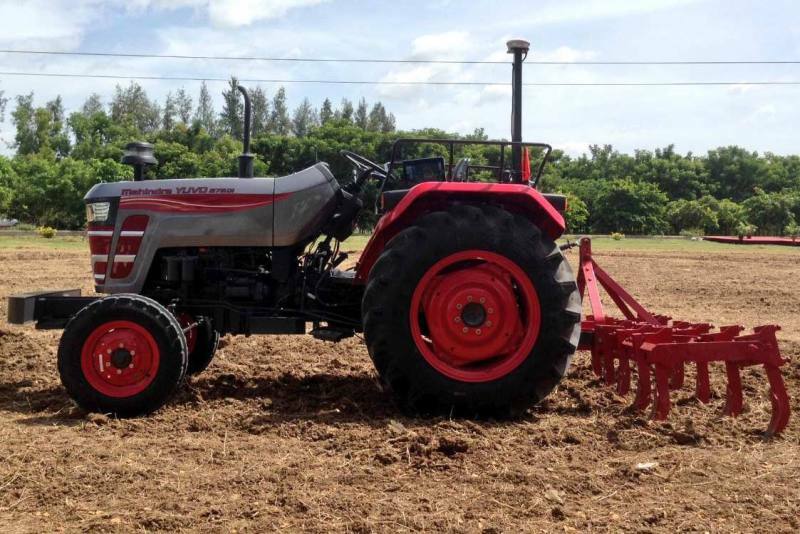 Zetor continues to take its tractors to new markets, the latest being a partnership with Vietnamese company Goldmax, which will take care of sales, spare parts and service for new Major, Proxima, Forterra and Crystal tractors. 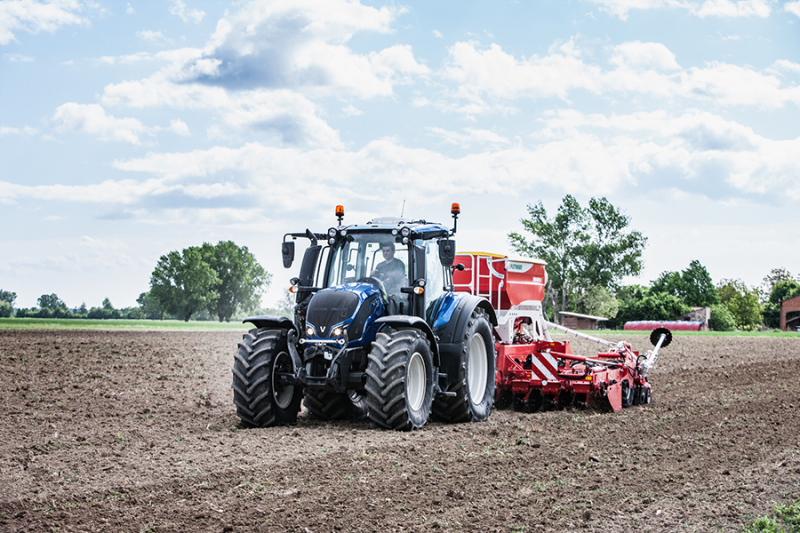 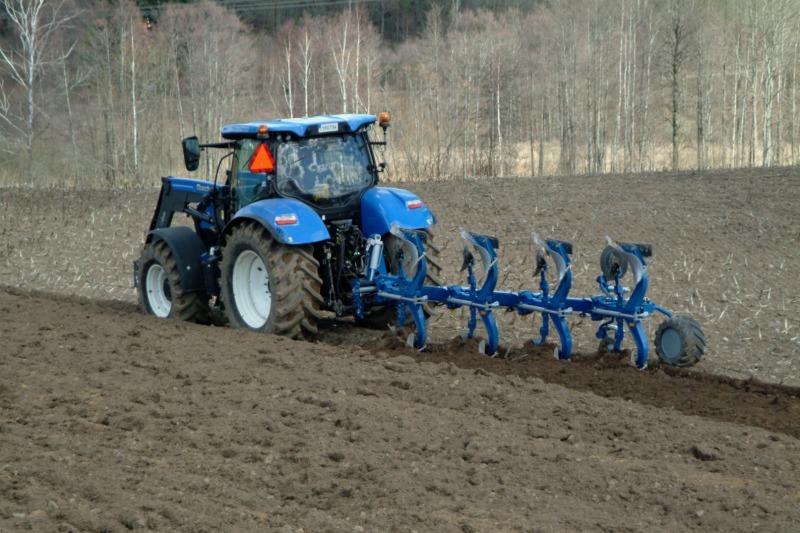 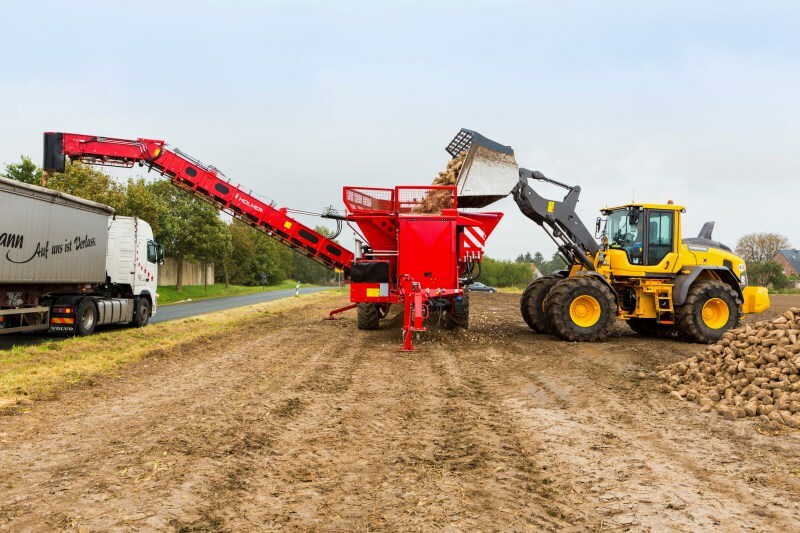 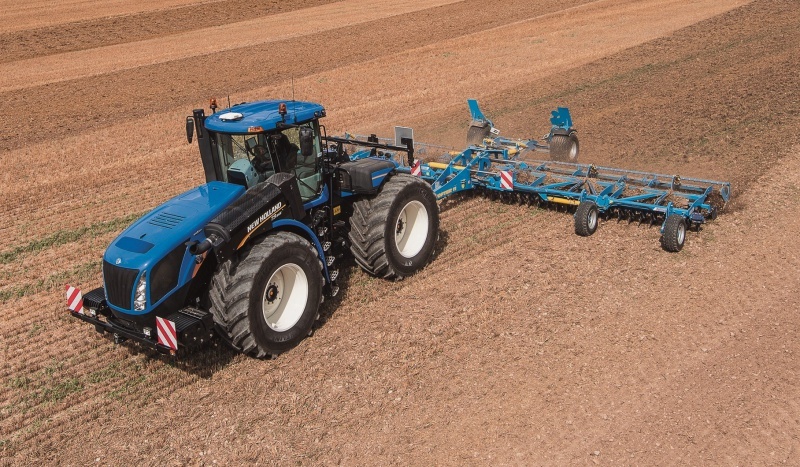 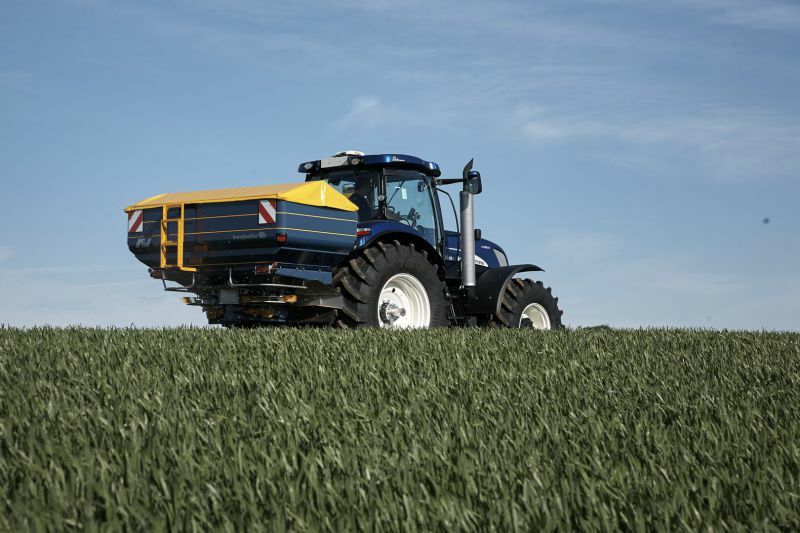 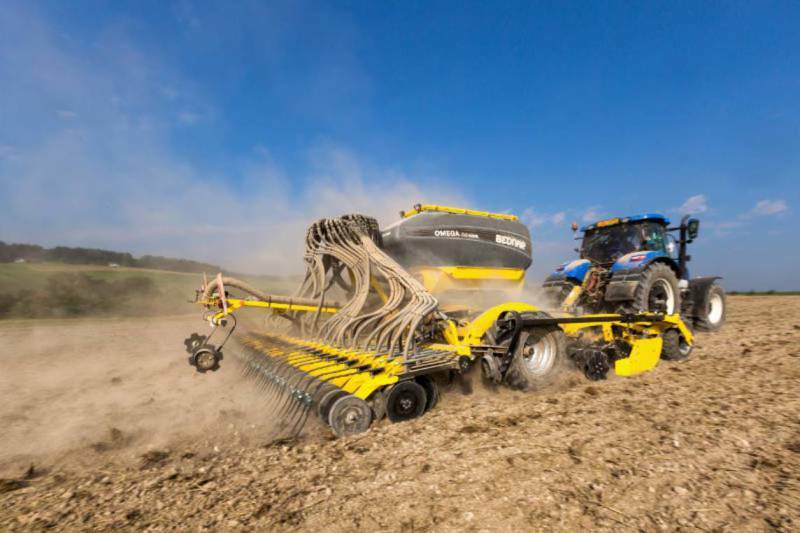 The release of a number of online brochures confirms New Holland has integrated agricultural implements into its product offering following last year's acquisition of Kongskilde Agriculture. 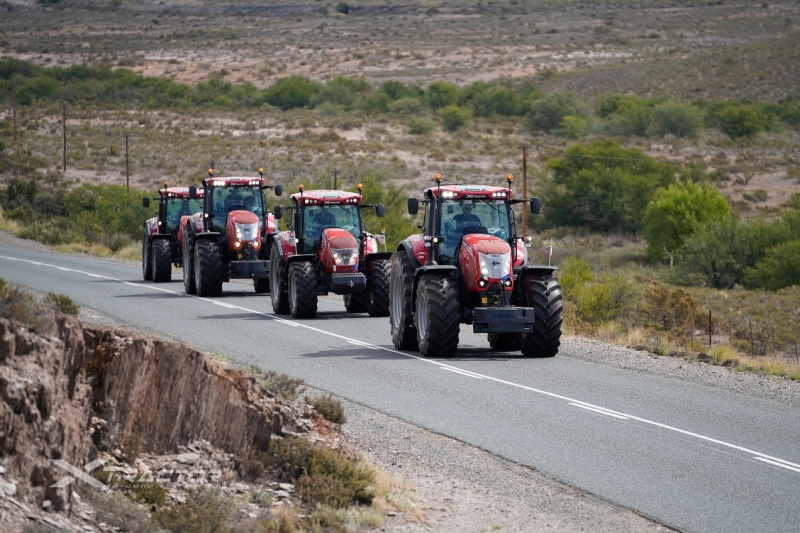 Tractor drivers often spend 10 or more hours a time in the cab. 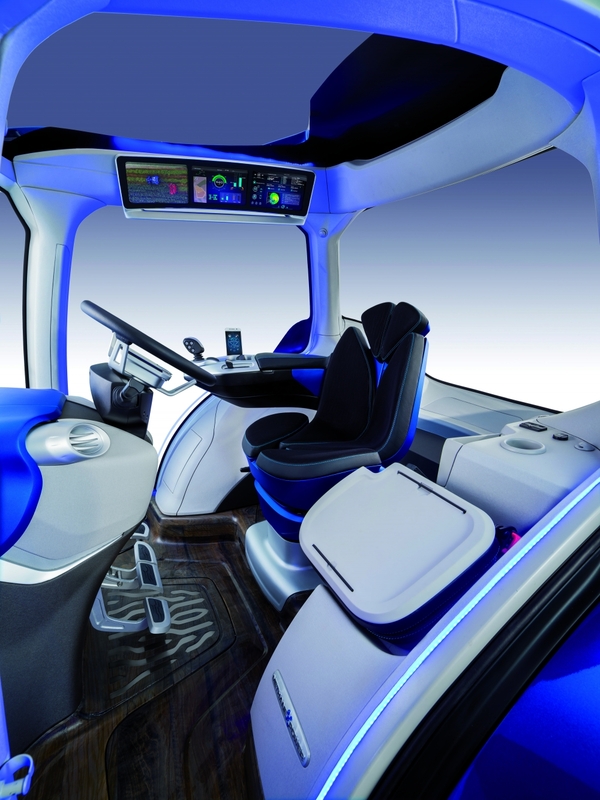 Modern technology provides plenty of creature comforts, but all this sitting can lead to an increased risk of health problems. 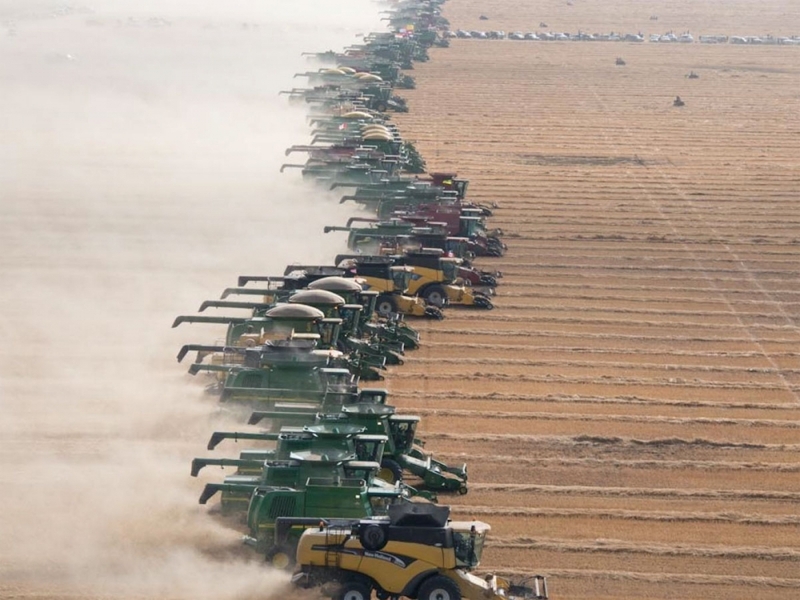 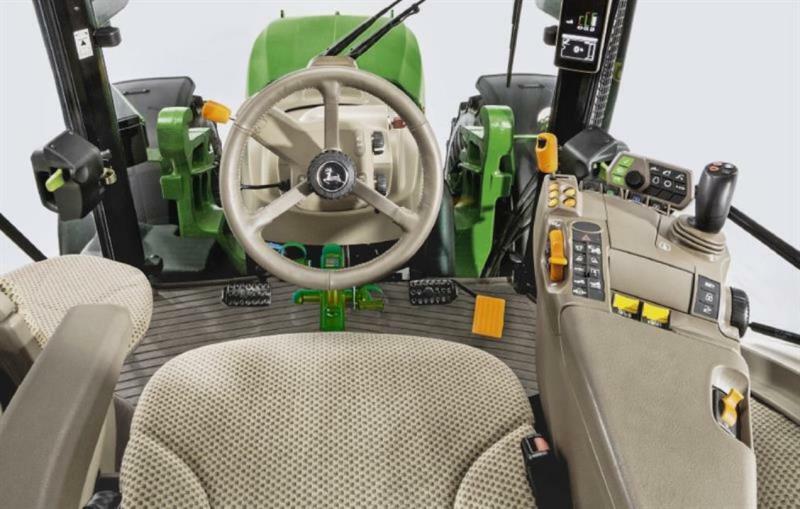 Reason enough for John Deere to develop a concept that allows drivers to exercise their legs without leaving the seat. 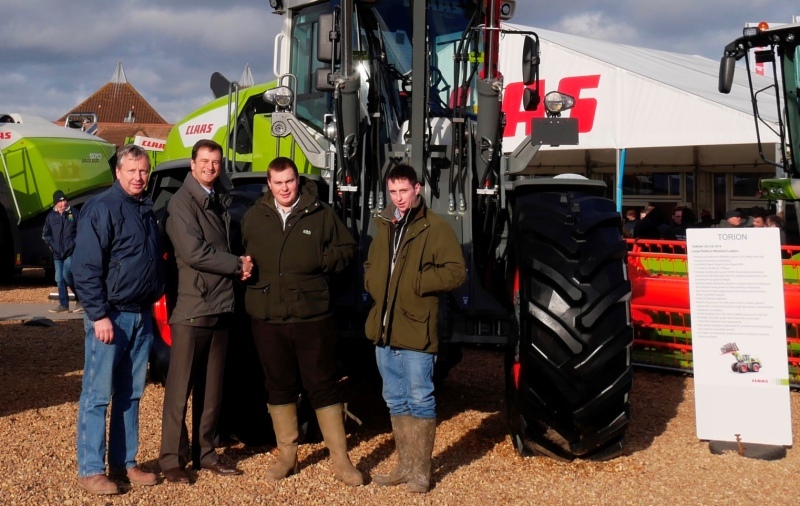 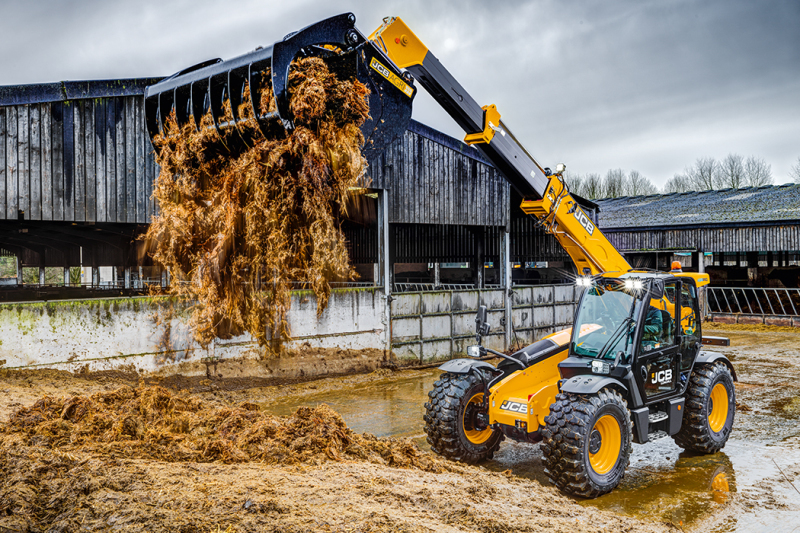 The first new Torion wheeled loader sold by Claas UK has been bought by Leyburn-based Metcalfe Farms in North Yorkshire. 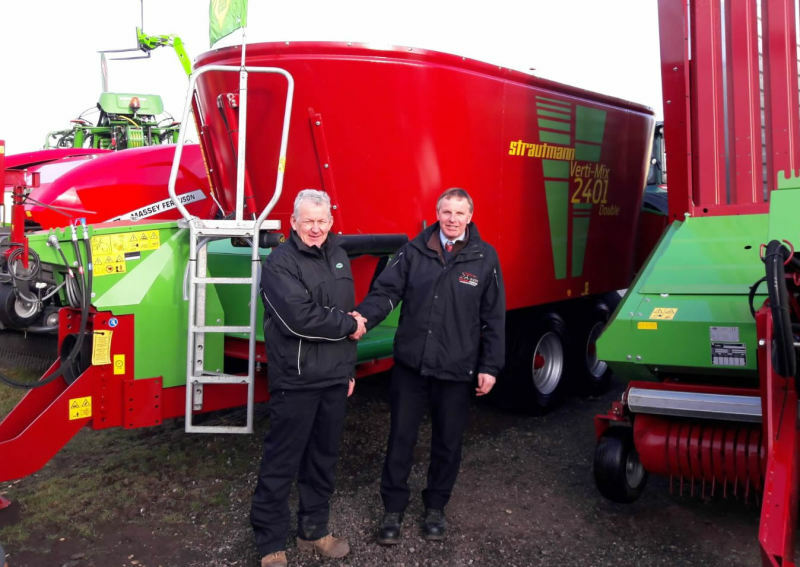 Long established customers of Claas Eastern at Sinderby, Metcalfe’s farming and contracting business operates a fleet of Jaguar SPFHs and Lexion combines. 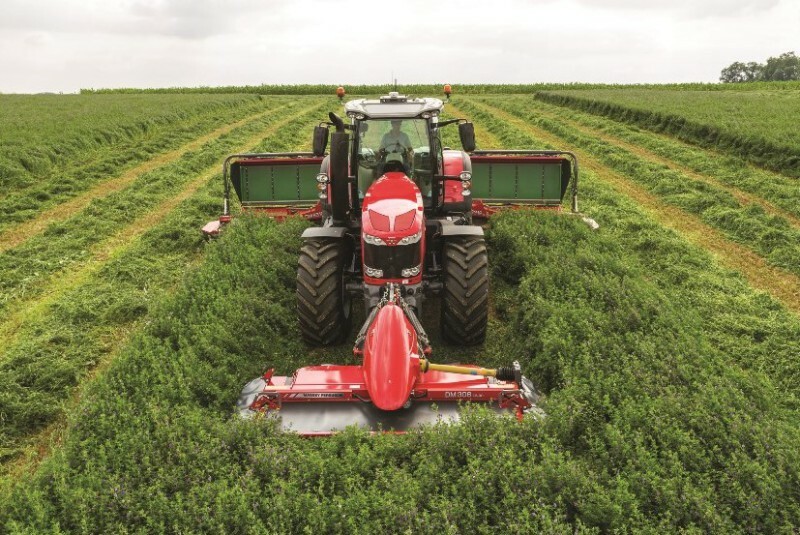 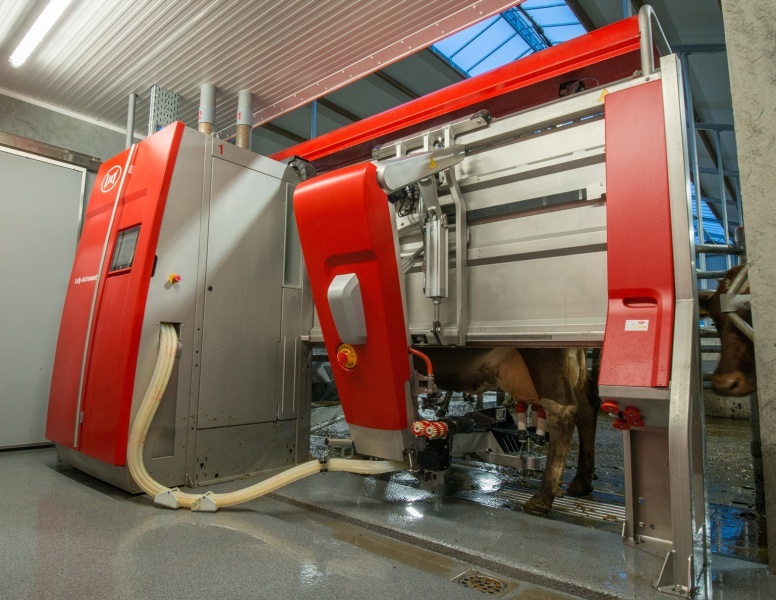 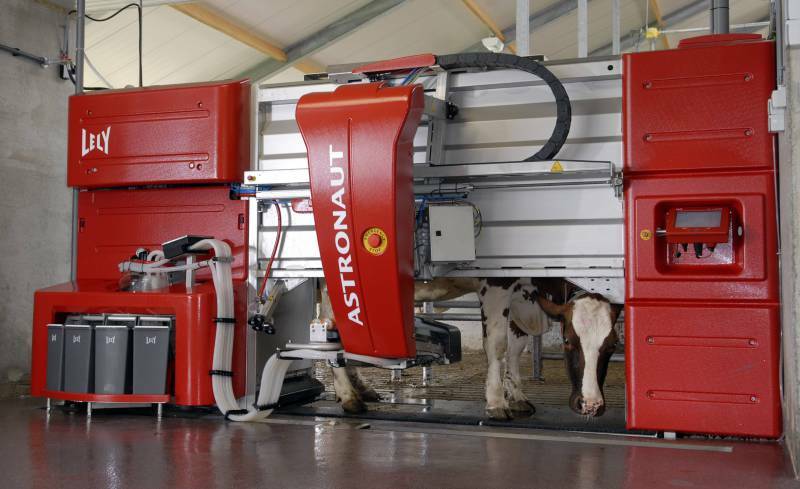 Lely sold its grass machine equipment division to AGCO to concentrate on new milk and feeding technologies. 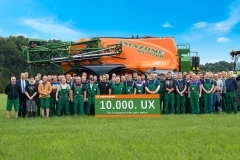 The first visible sign of this is a deal with Dutch firm Trioliet to add the TU (Turbobuster) 180 XL silage cutter to its feeding portfolio. 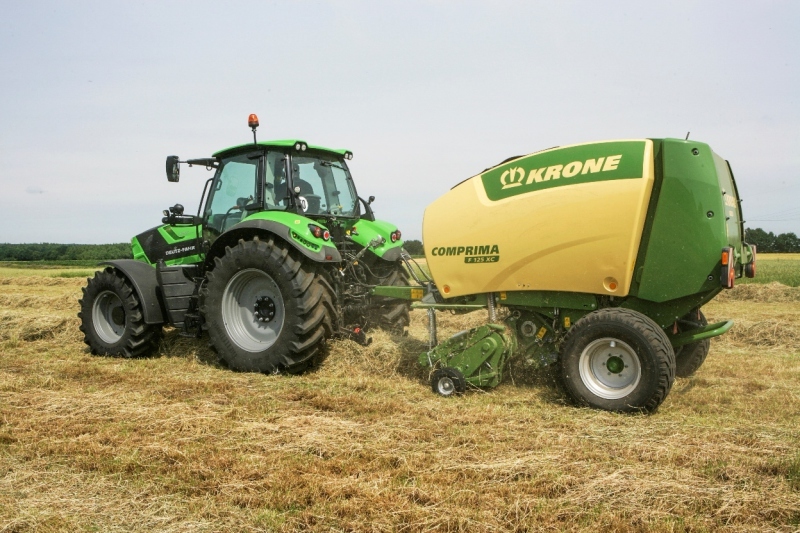 The milk price recovery first signalled late 2016 has had a positive effect on Krone’s agricultural machinery division. 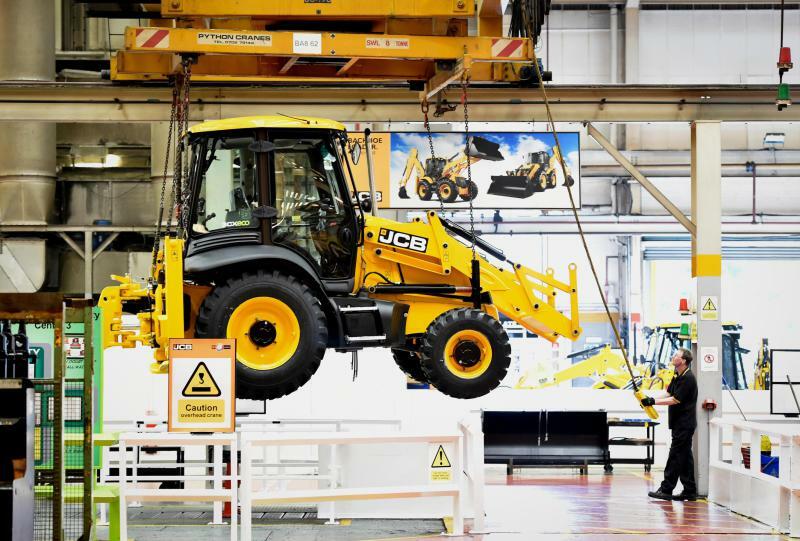 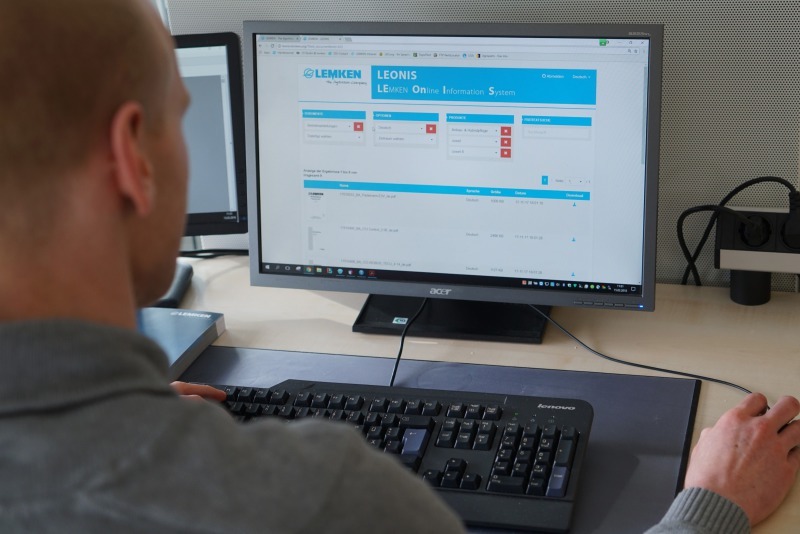 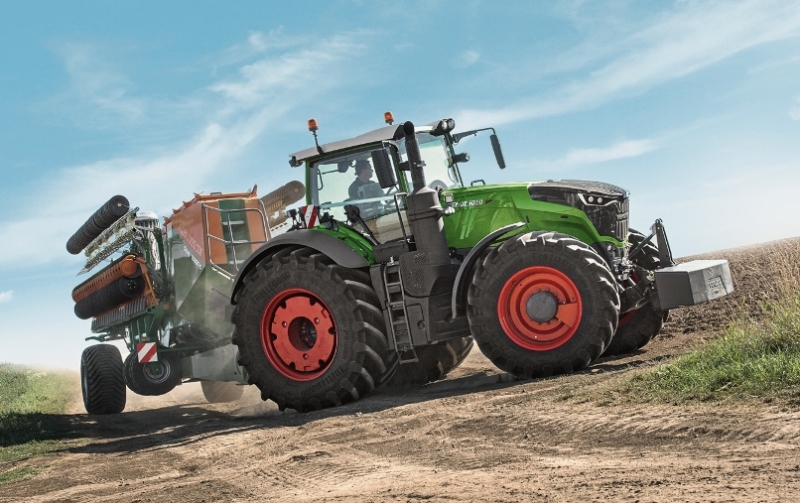 Fuelled by a buoyant for new machines during the second half of last year, the division closed 2017 with total sales of €582.8 million (previously €569.8 million). 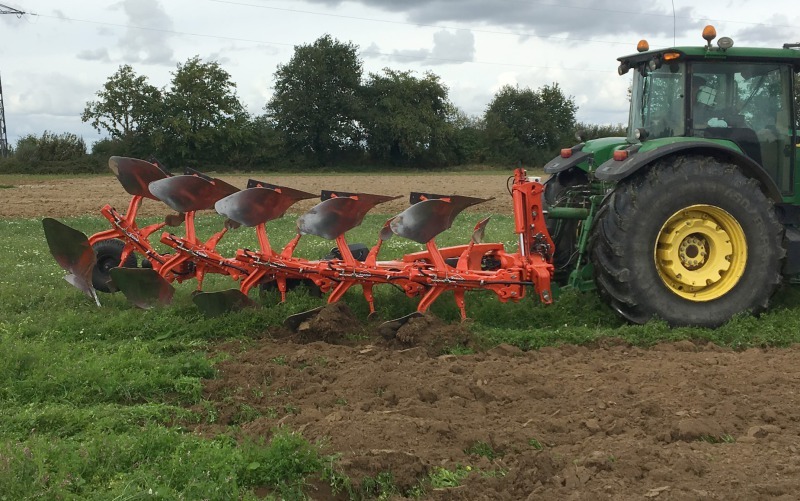 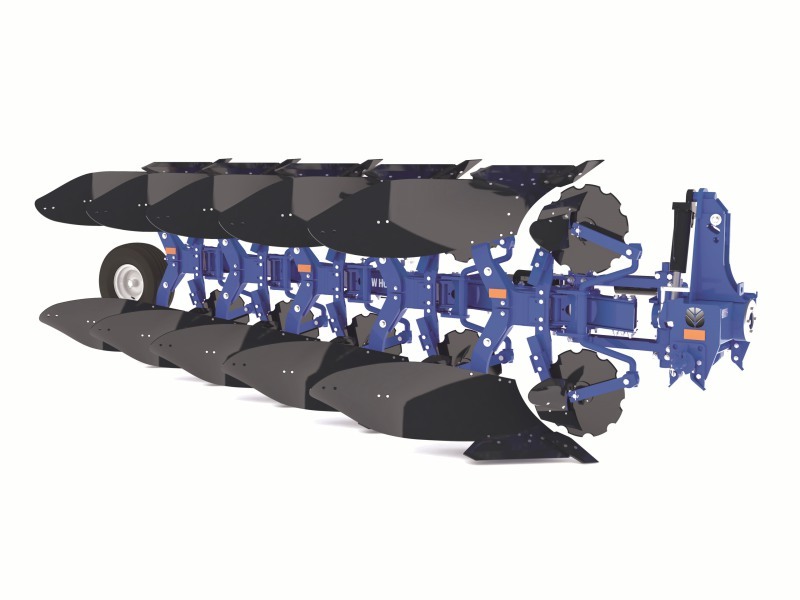 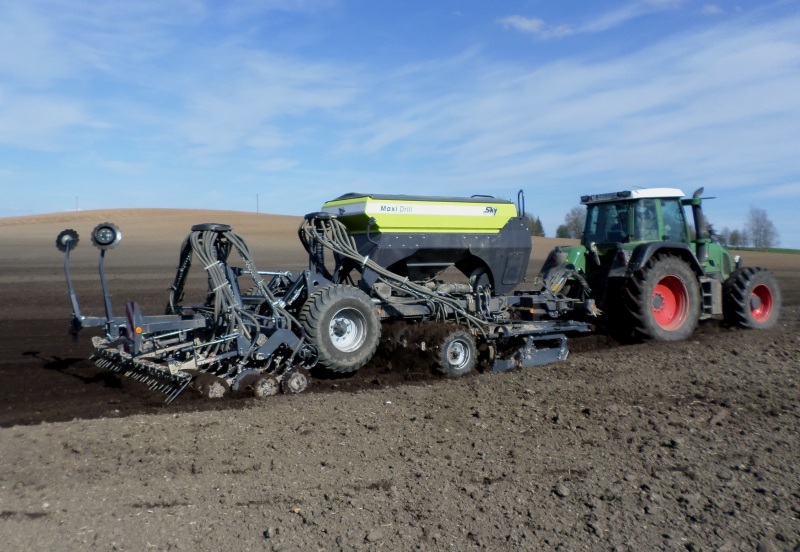 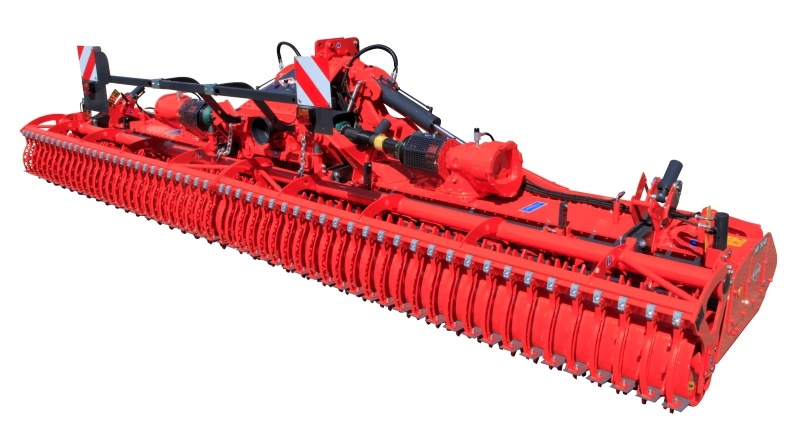 Designed to control weeds in all types of 30cm strip-seeded combinable crops, where the undrilled 14-15cm band between the rows can be mechanically hoed, Claydon’s TerraBlade inter-row hoe will be launched and on sale from LAMMA 2018. 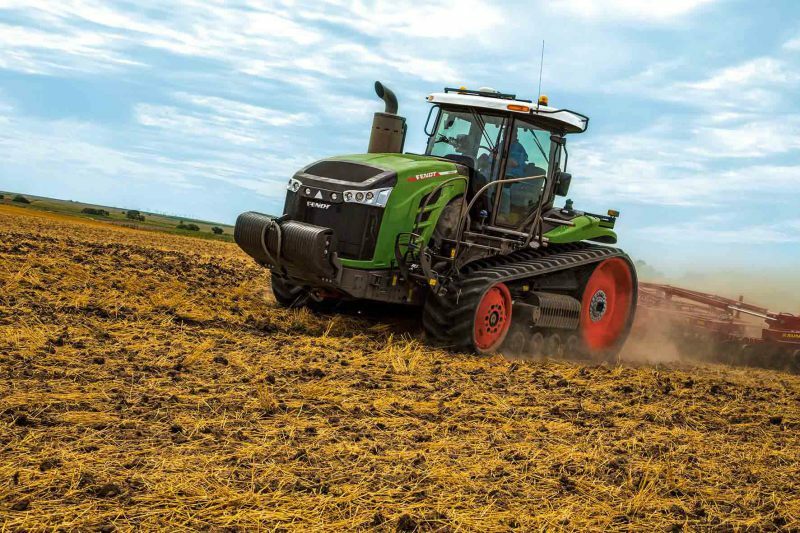 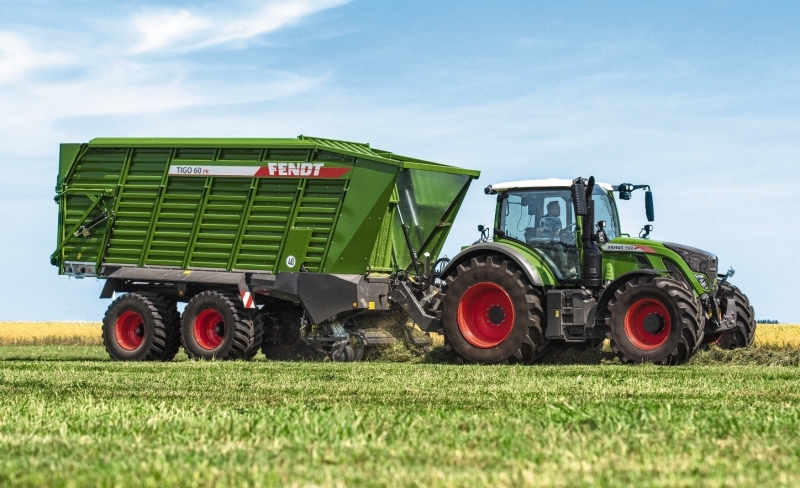 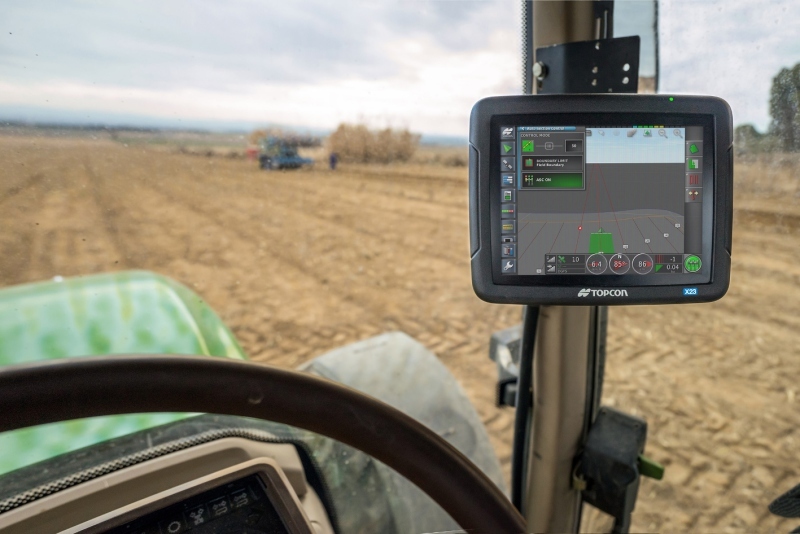 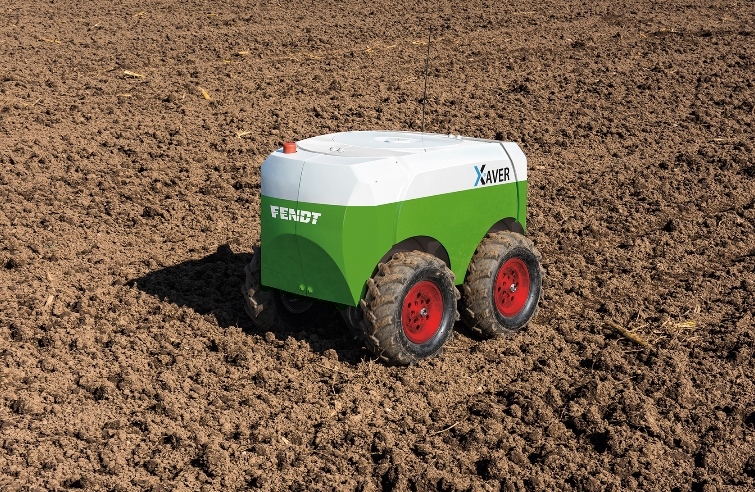 As part of its ongoing plan to go full-line, German tractor maker Fendt has unveiled a total of 39 new products, many of which will be on display at the Agritechnica show in November. 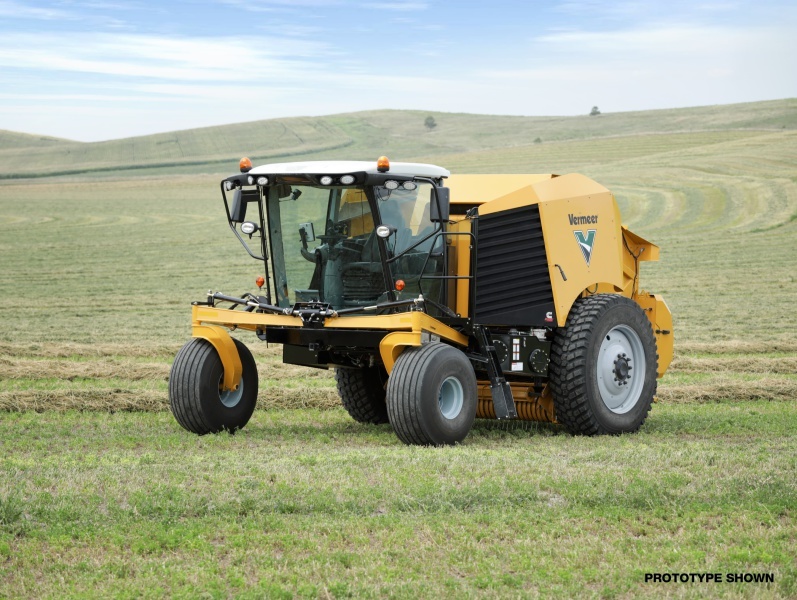 Among the fresh hardware are seven new tractors, six round and square balers, three combines and seven sprayers. 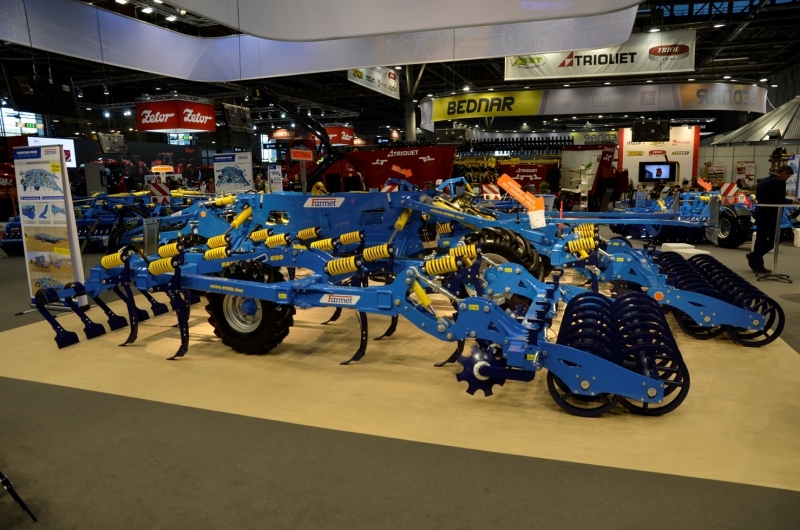 Once again New Holland has gone all out to wow the crowds at the Farm Progress Show. 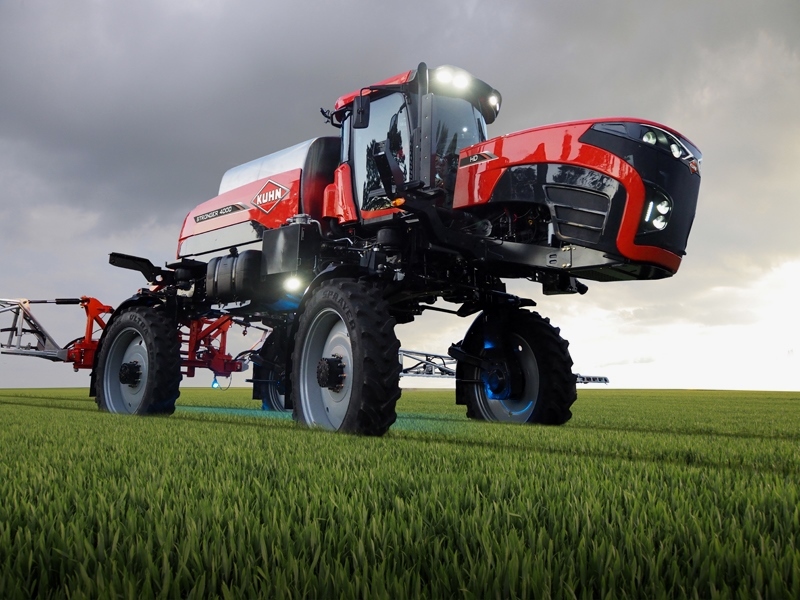 Last year it was the autonomous tractor projects but this year visitors to the North American machinery show are being treated to a revamped and very futuristic looking version of the methane powered tractor concept. 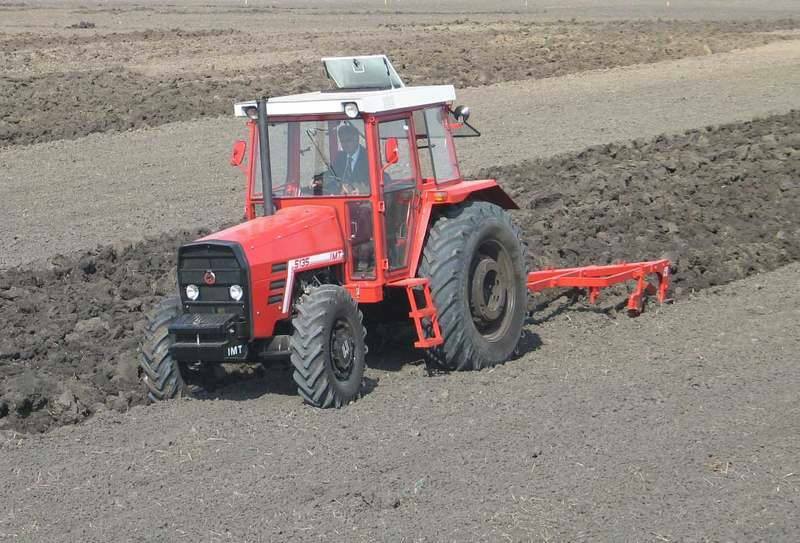 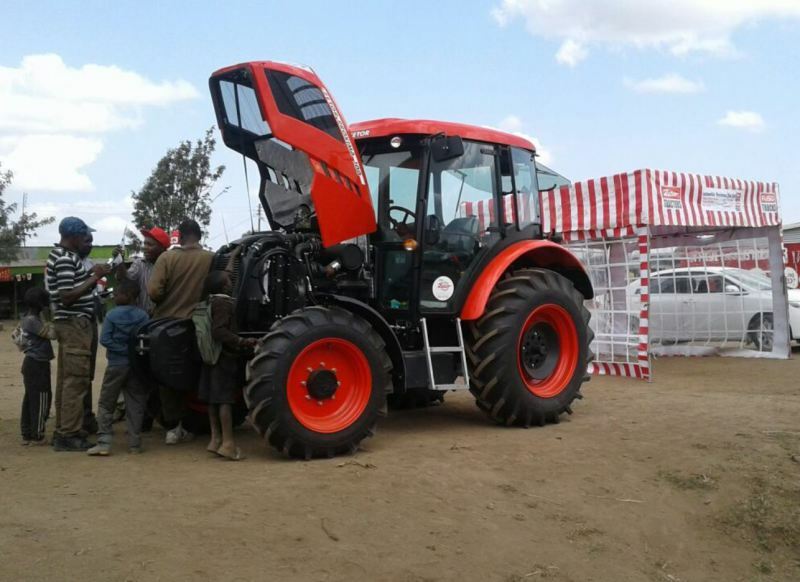 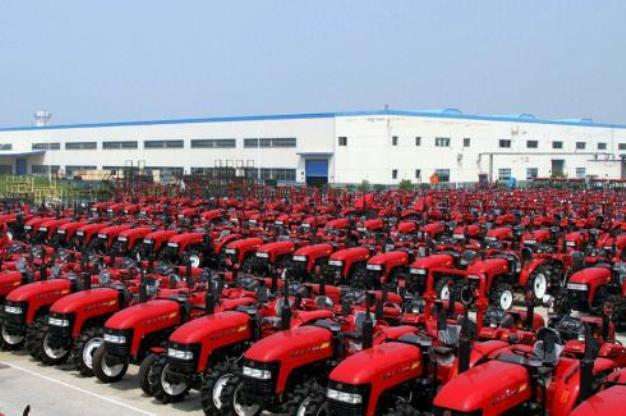 It is two decades since the Zetor brand was sold in Kenya, and during 70 years of making tractors, the firm has exported just 50 units to the country (first 25 delivered in 1965, the rest in 1997). 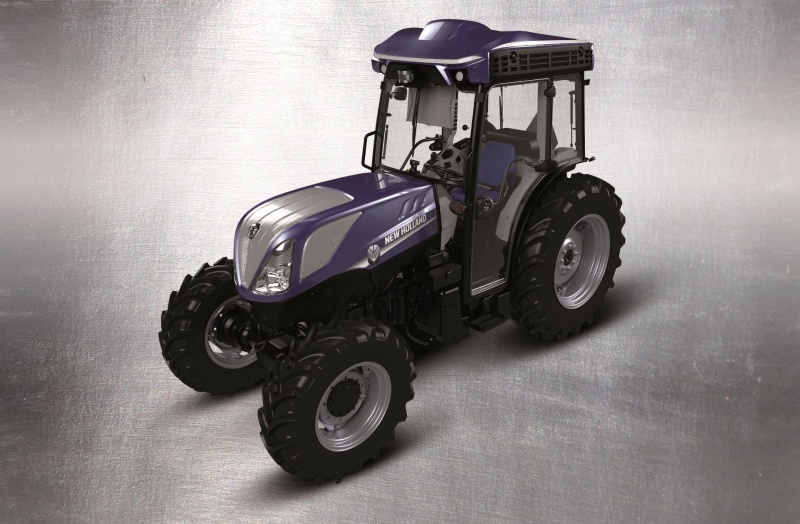 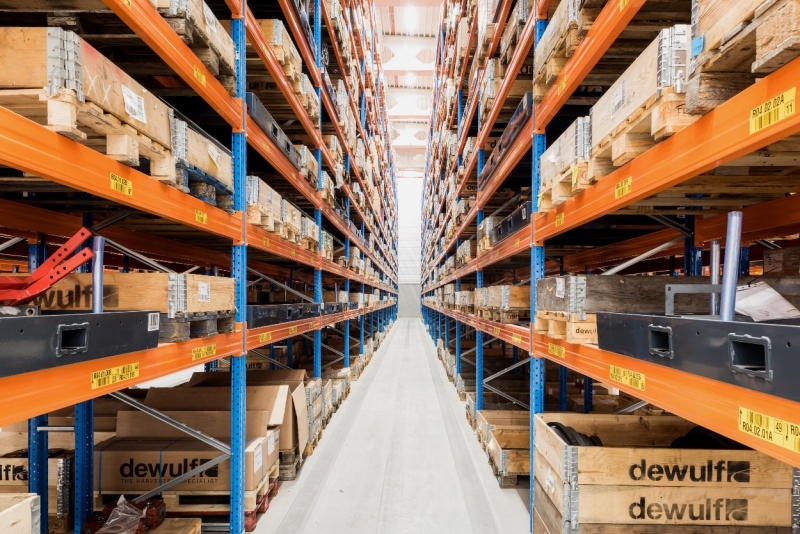 Now the Czech tractor maker is hoping to put the brand back on the map through new partner Automobile Warehouse. 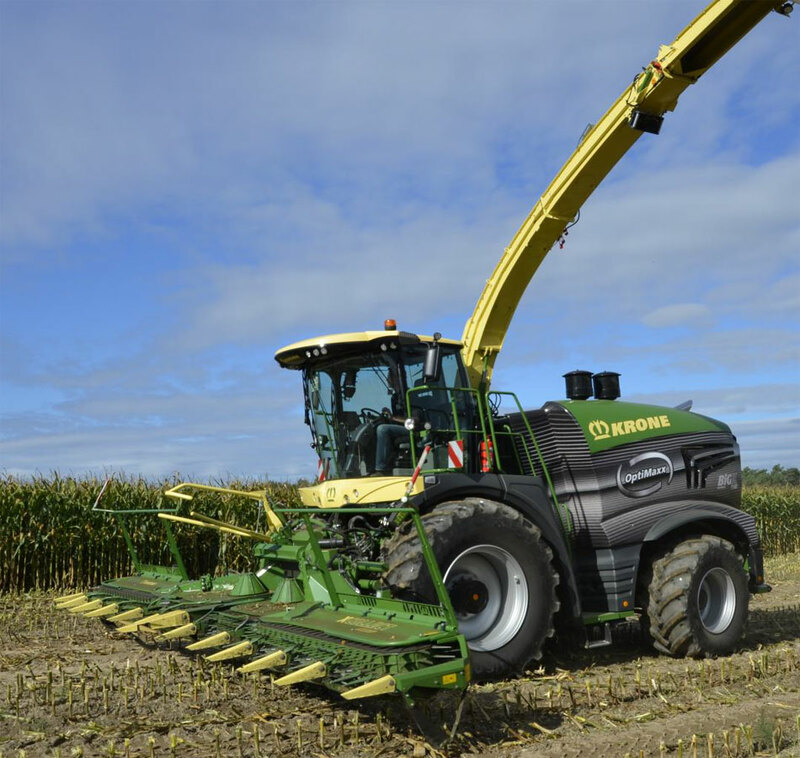 We knew they were coming, but can now confirm Claas will launch a new and extended model range of Scorpion telehandlers at Agritechnica, in November. 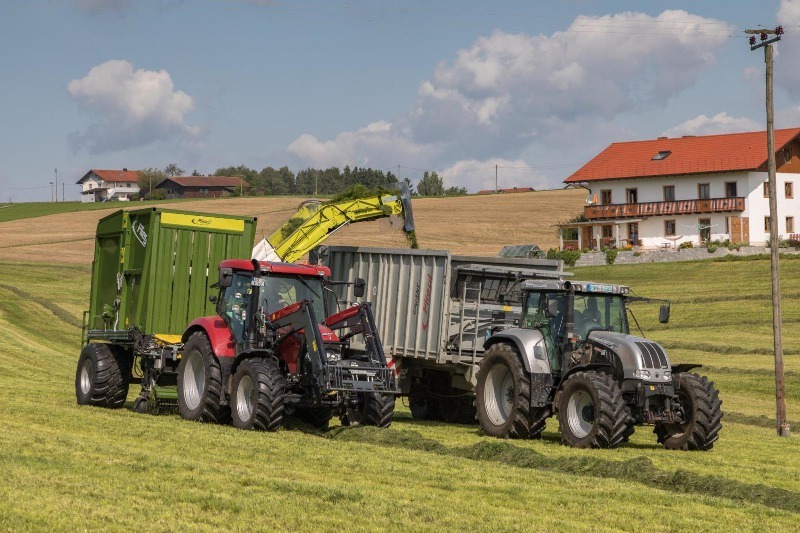 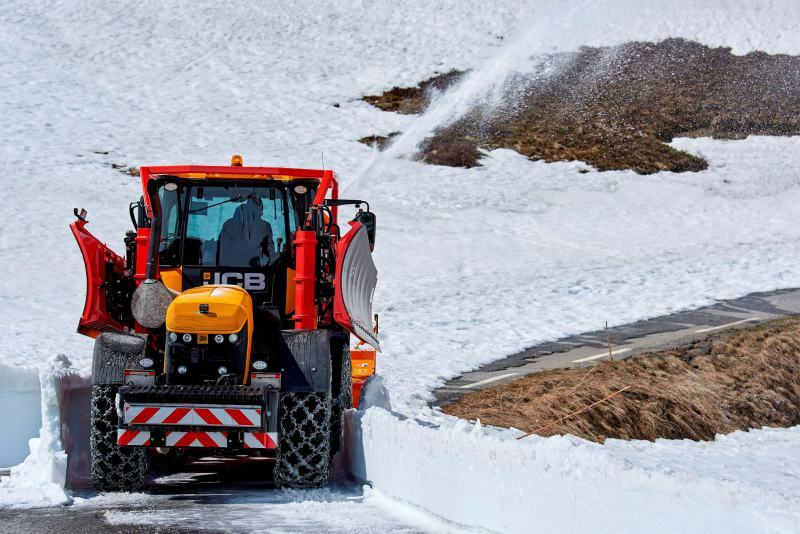 Developed together with its new partner Liebherr, these latest versions are currently being field tested, and will be available from January 2018. 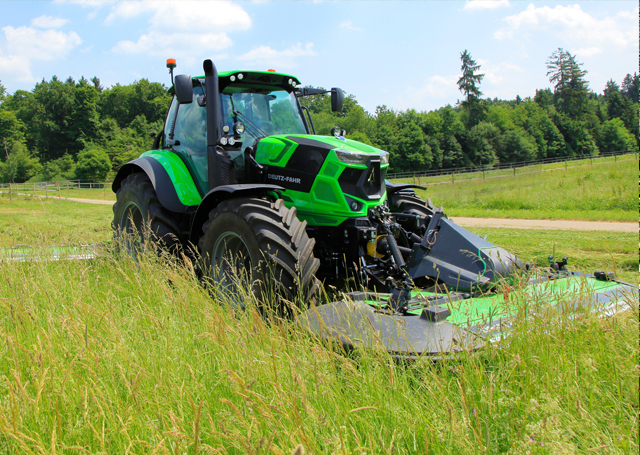 We were not sure whether to publish this one or sit on it until we were sent a sharper picture and more information. 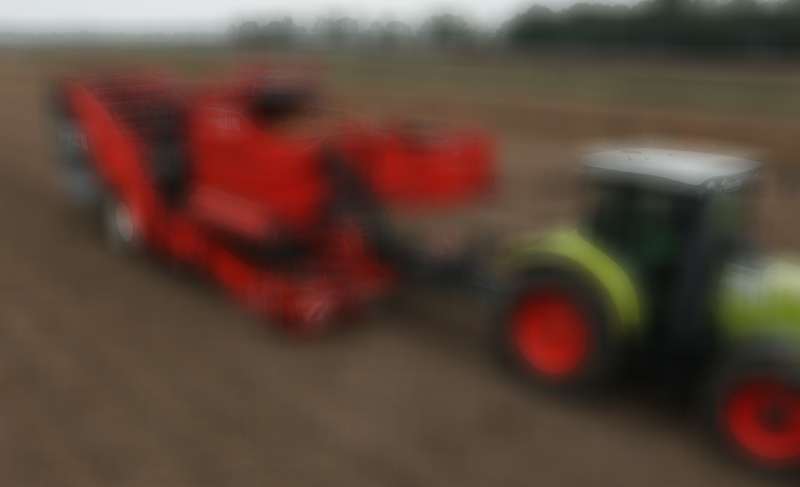 In the end, we decided to run with it, and it is possible to make out the contours of a two-row trailed offset potato harvester in this deliberately blurred image.